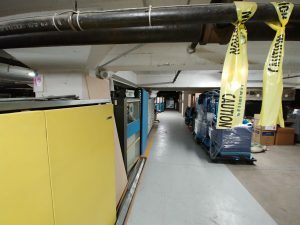 Also, please don’t forget that we still need volunteers to cover the concessions and consignments areas. 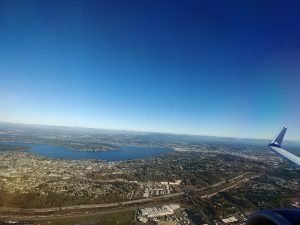 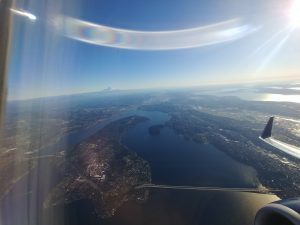 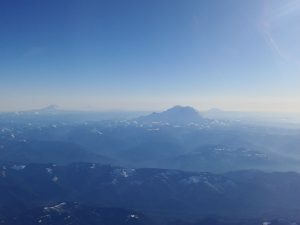 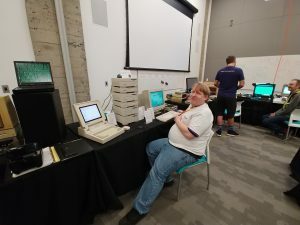 We want this festival to be the best VCFSE ever! When: Saturday, April 27, 2019 (10am to 7pm) and Sunday, April 28, 2019 (12noon to 5pm). 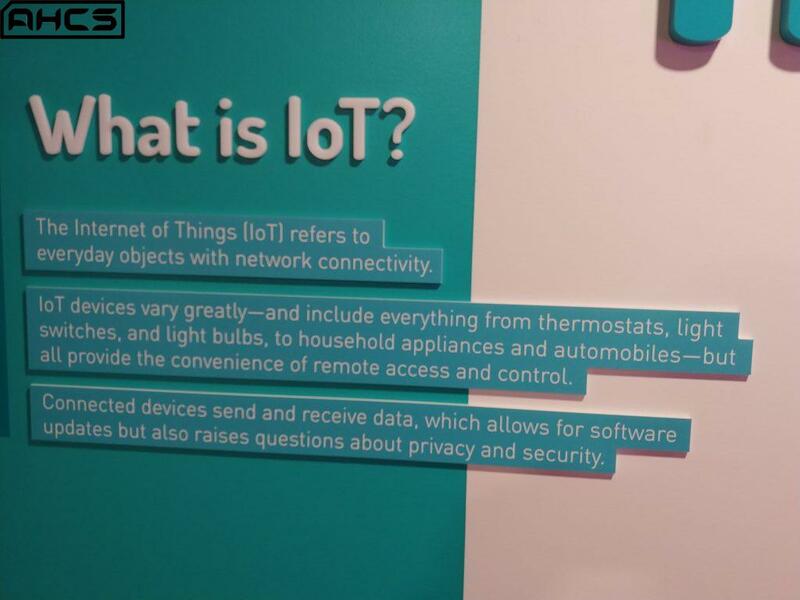 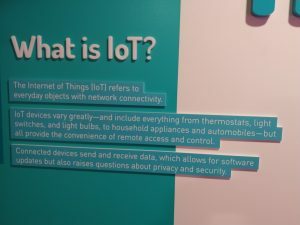 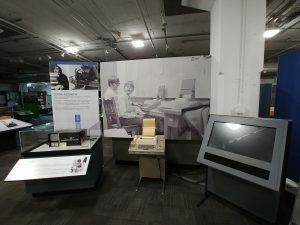 Where: At the new Computer Museum of America, 5000 Commerce Parkway, Roswell, GA 30076, in the rear of Roswell Town Center Mall. 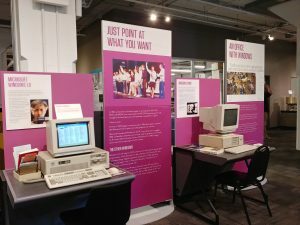 Who: EVERYONE IS INVITED…computer geeks, families/children, STEM students, students, collectors, IT professionals, curious onlookers, etc. 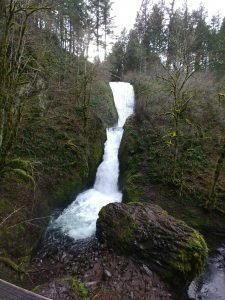 How Much: Admission prices to both the festival and museum together is: $15/day or $22/both days for Adults 18-64, $10/day or $15/both days for Children 4-17, $40/day or $60/both days for a Family of Four, $12/day or $18/both days for Seniors 65+ and for College Students, and FREE for accompanied children 3 and under. 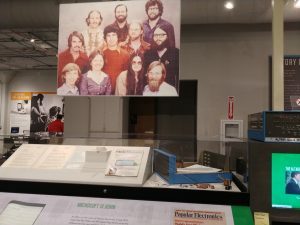 What: Douglas McIlroy, one of the original developers of UNIX at AT&T Labs in 1969, is set to be the keynote speaker for the event on Saturday, April 27, 2019, from 11am to 12noon. 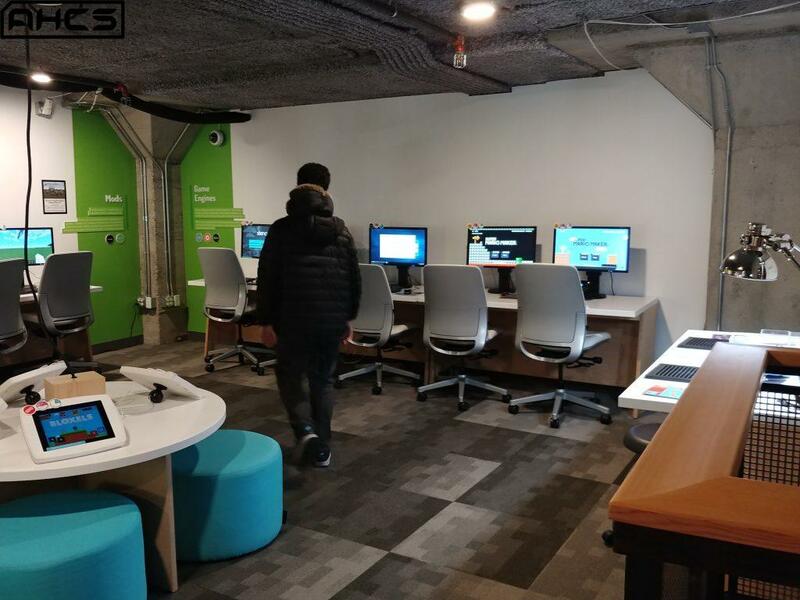 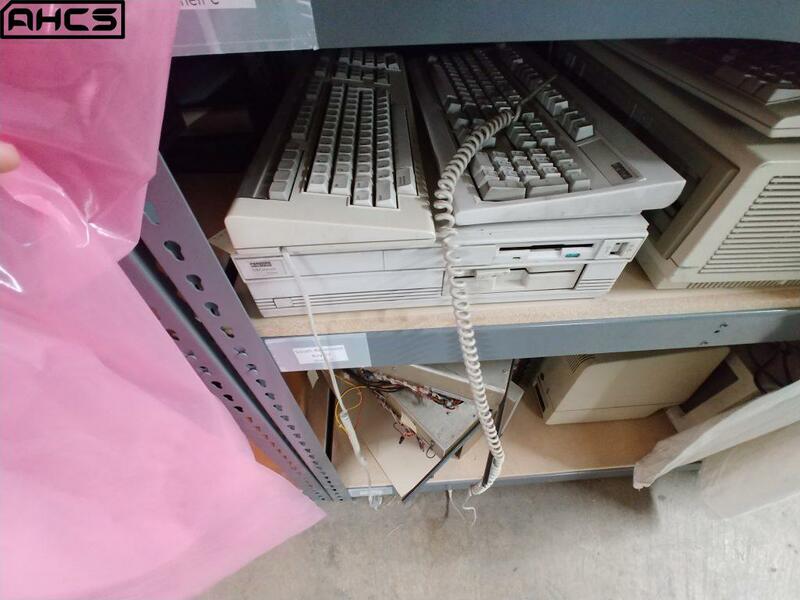 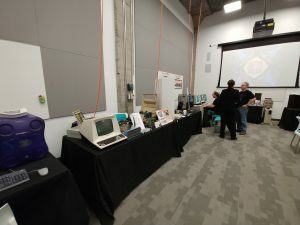 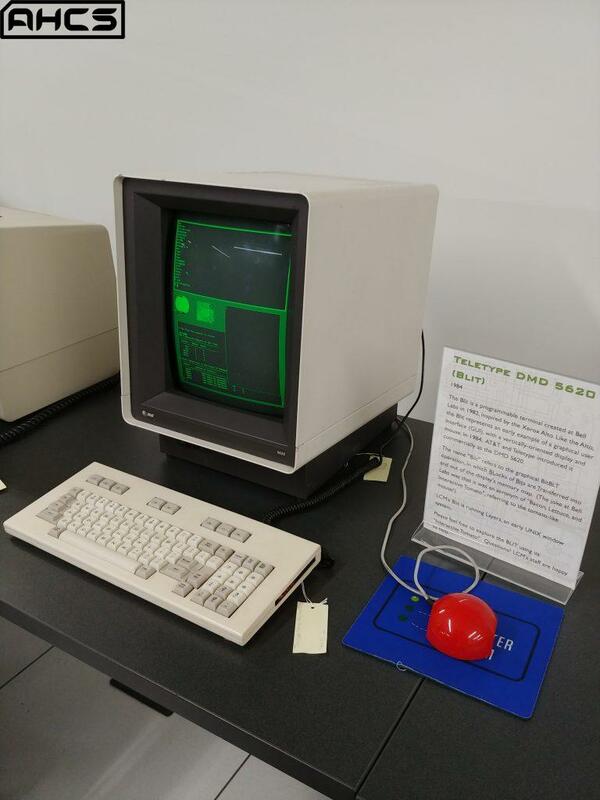 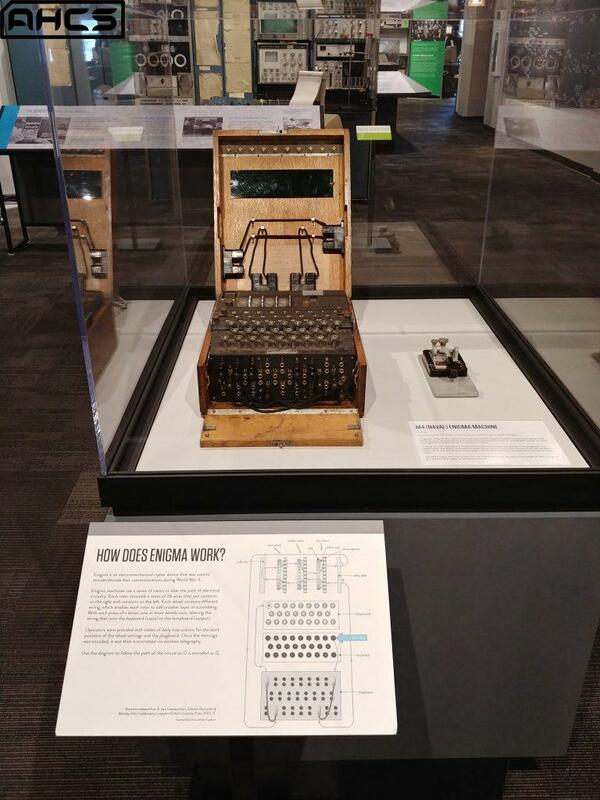 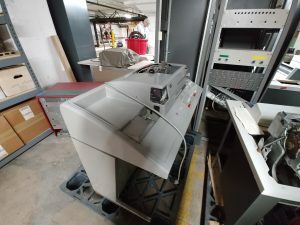 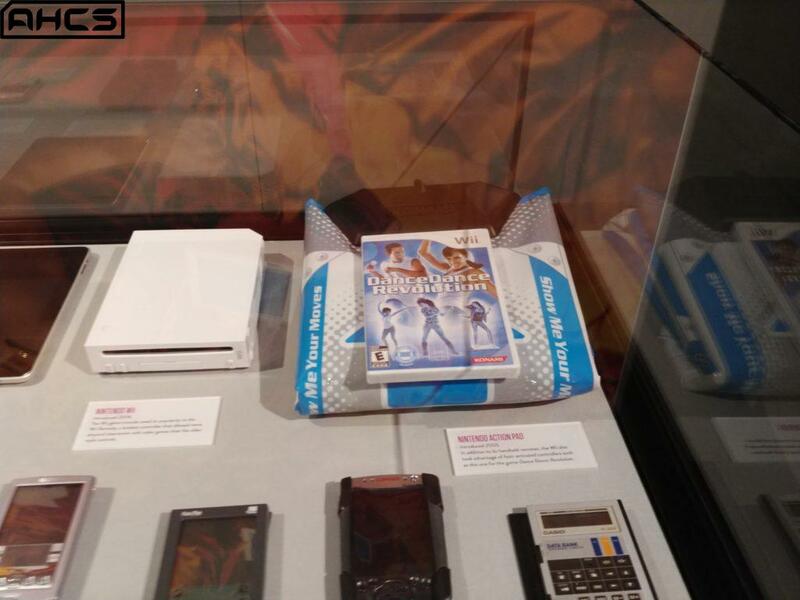 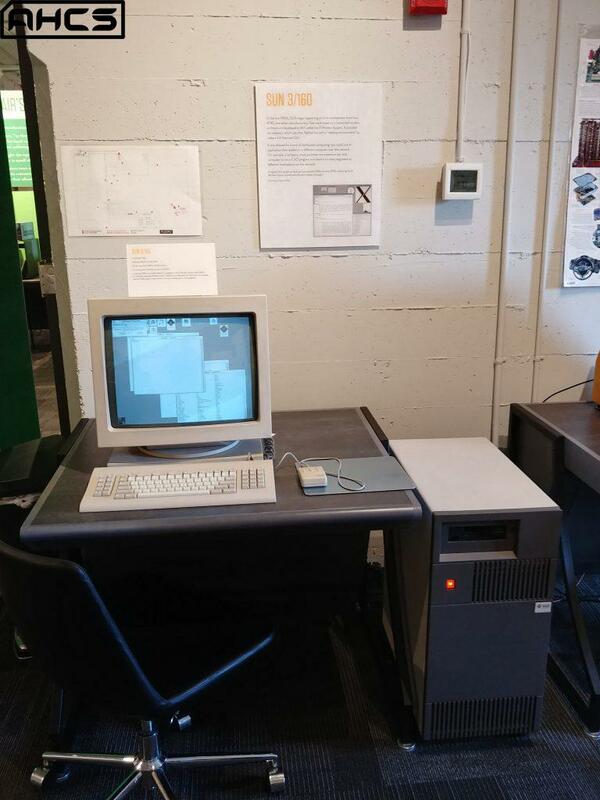 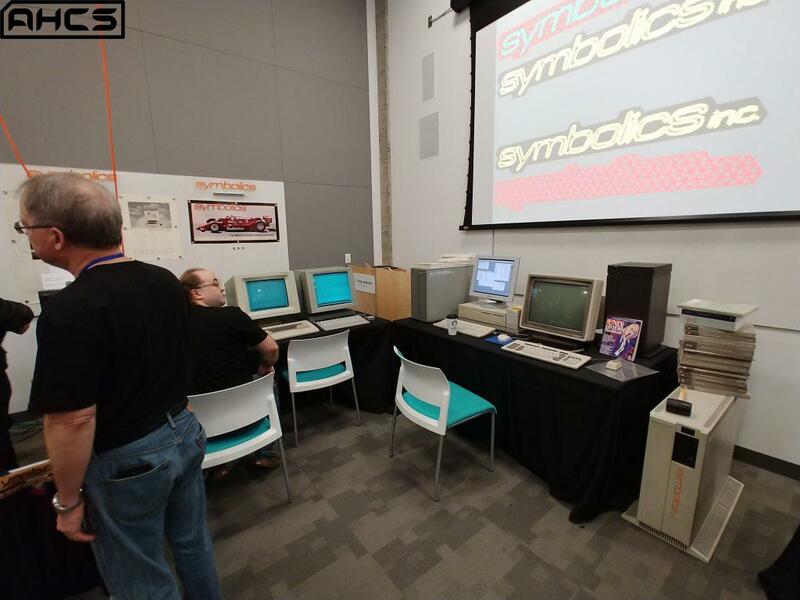 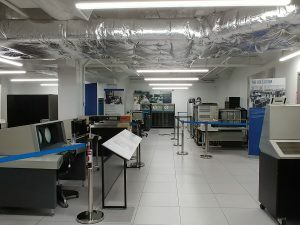 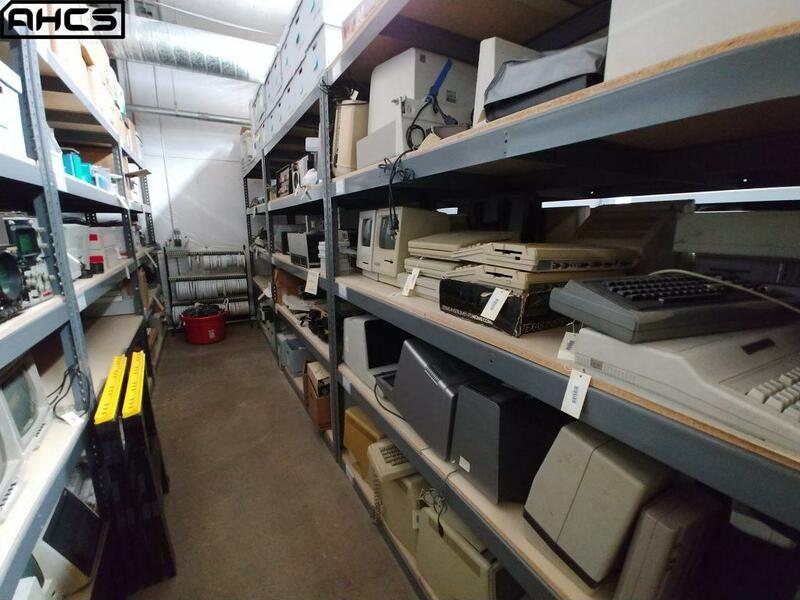 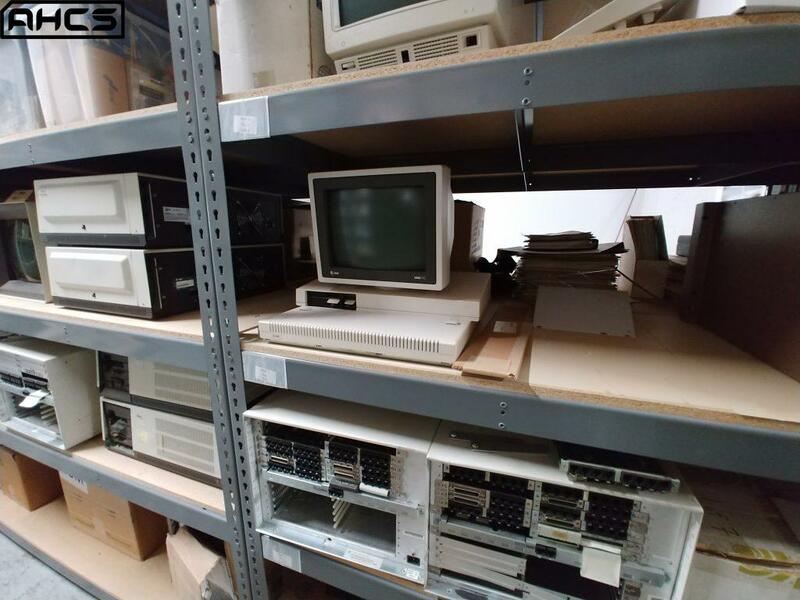 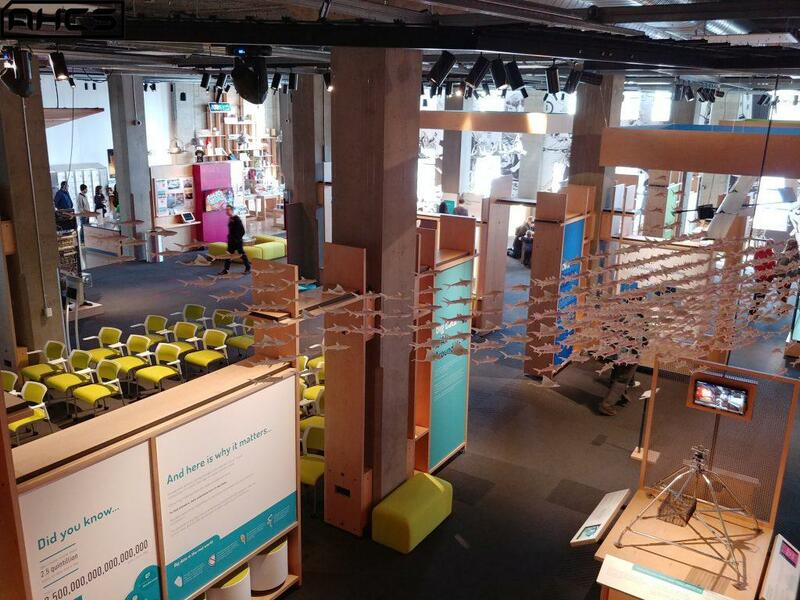 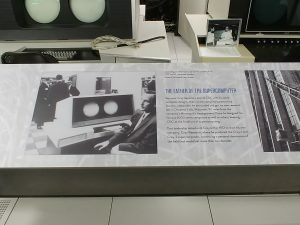 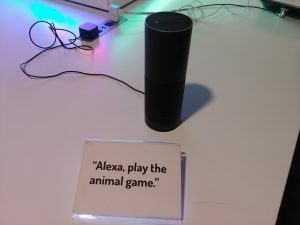 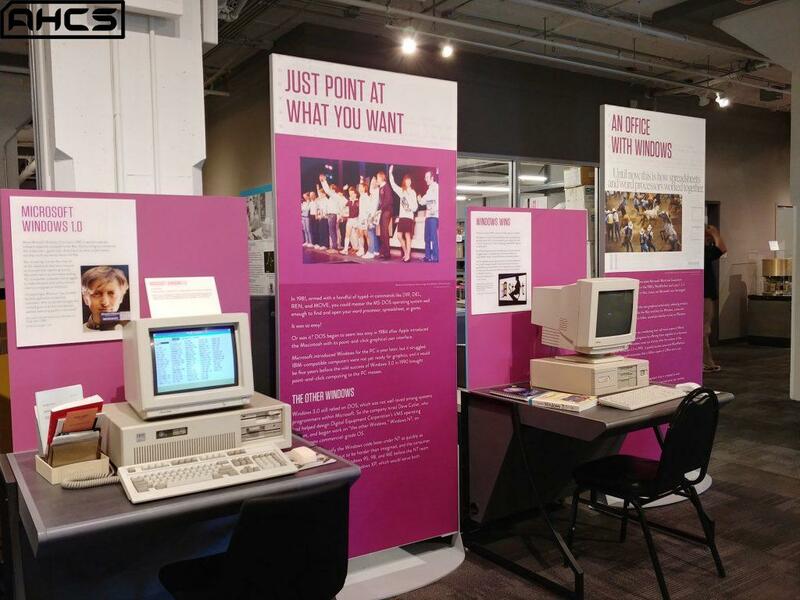 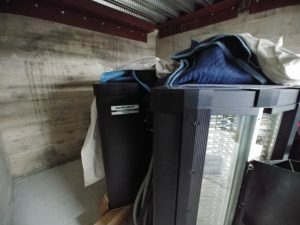 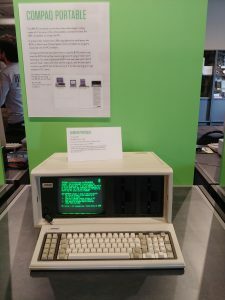 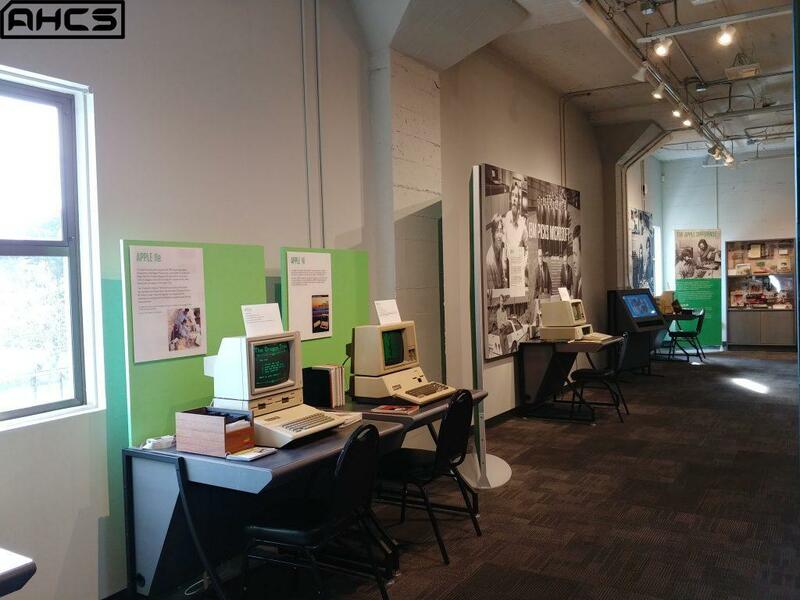 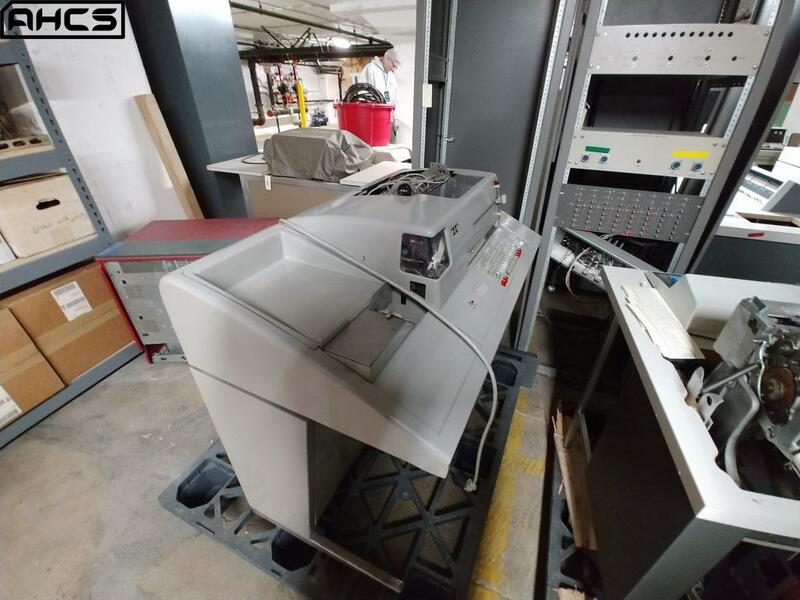 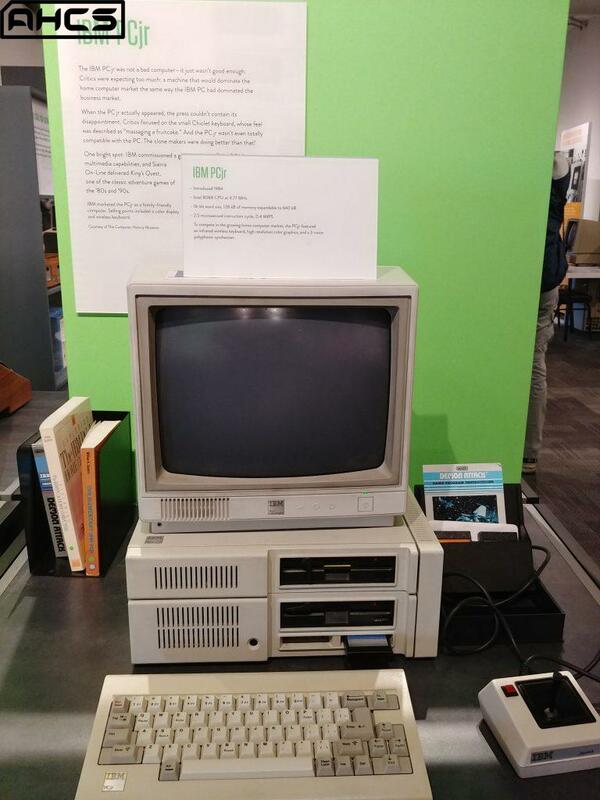 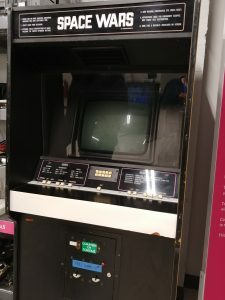 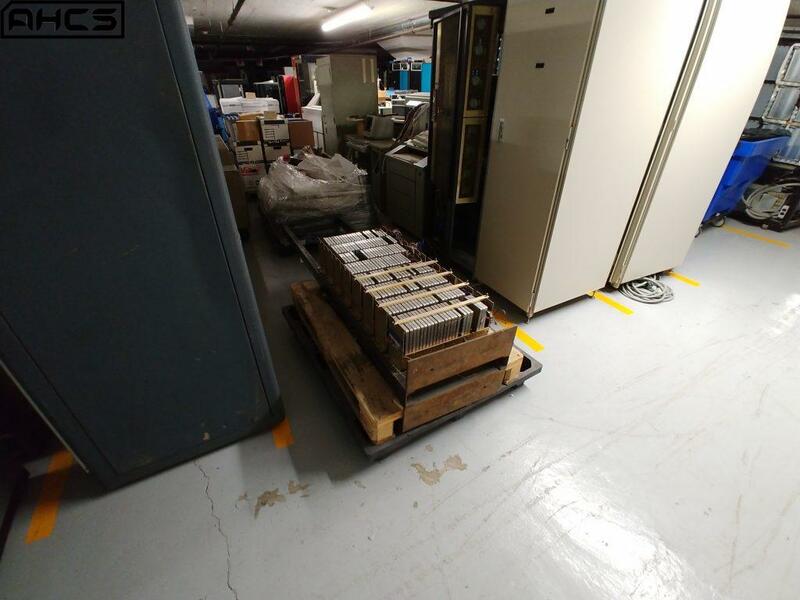 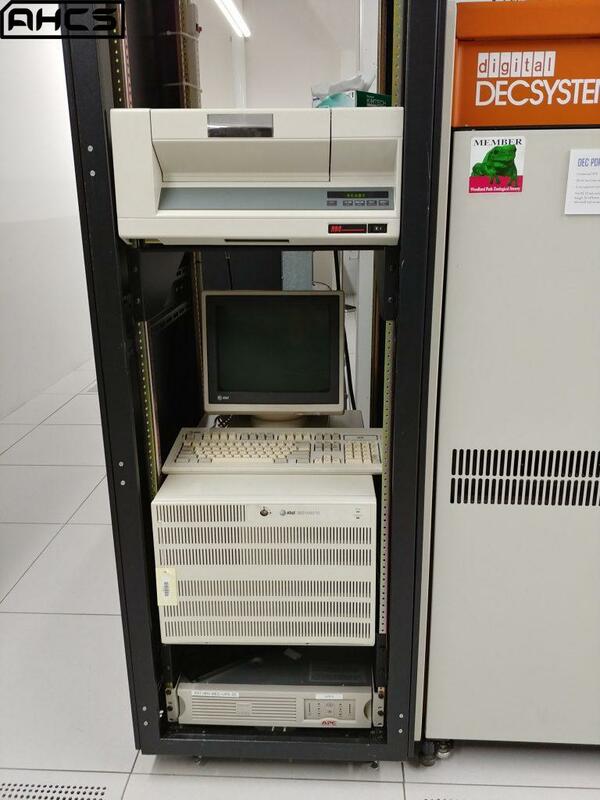 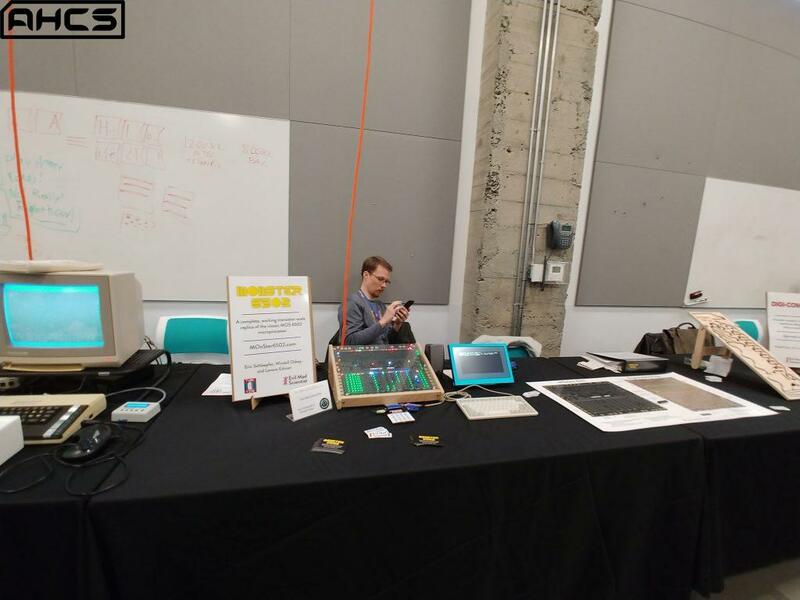 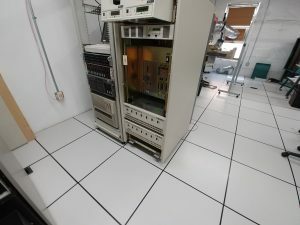 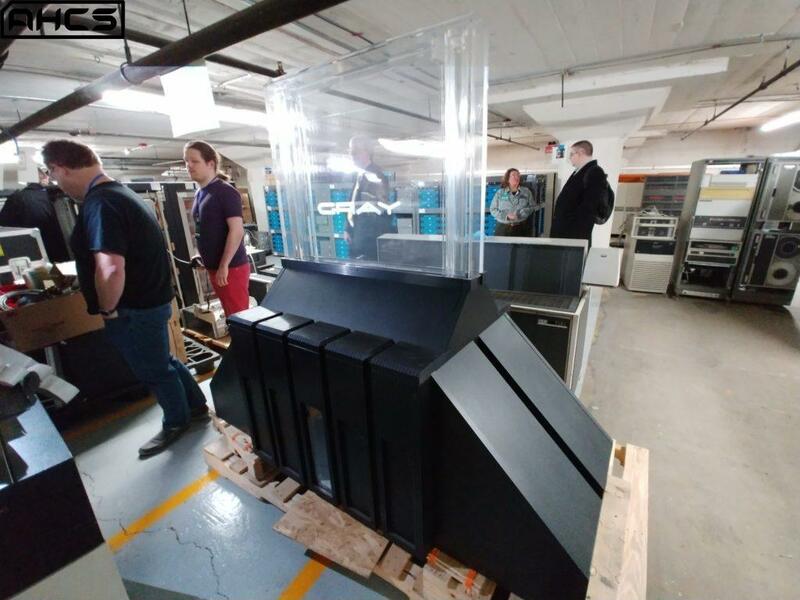 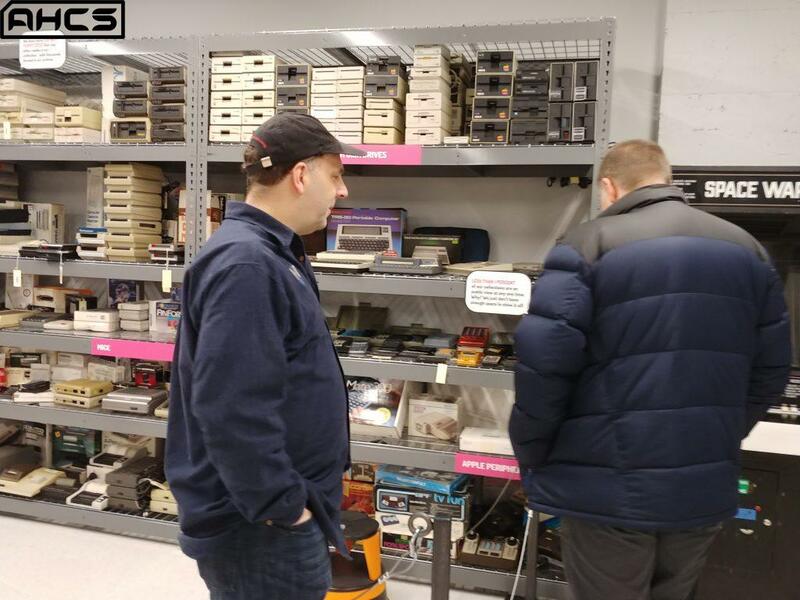 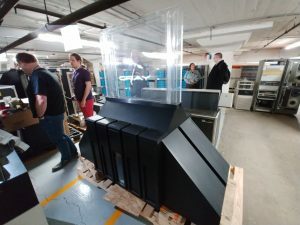 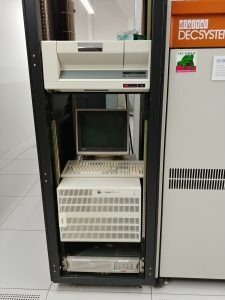 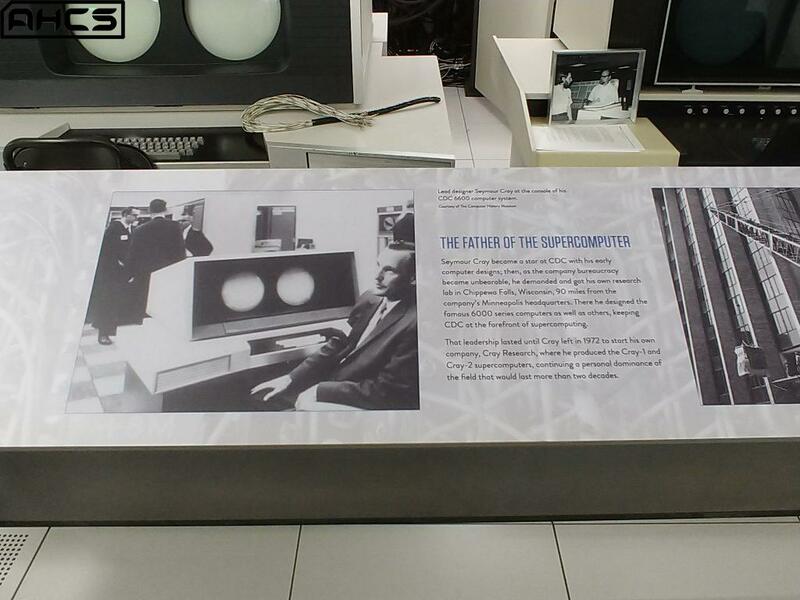 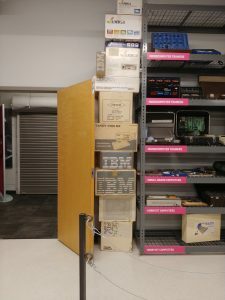 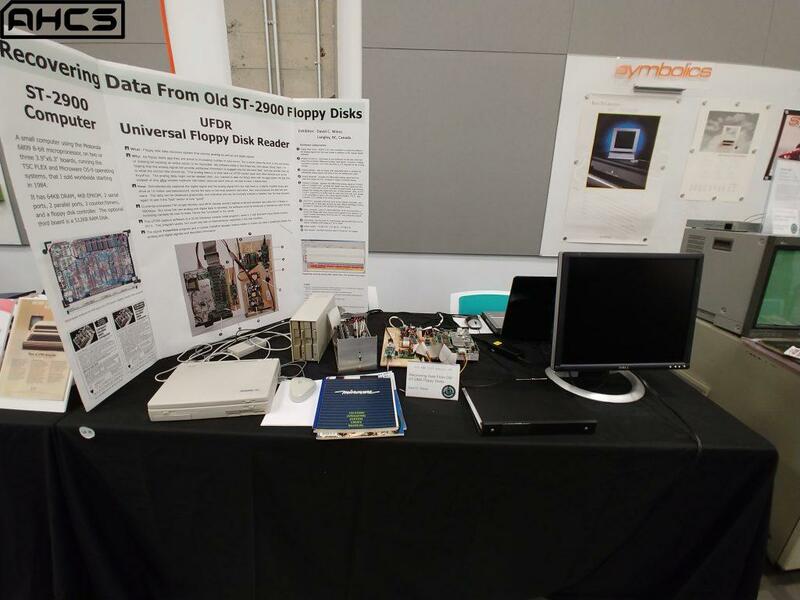 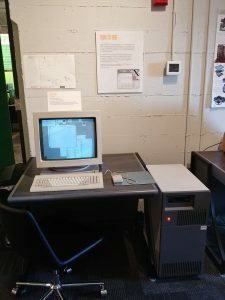 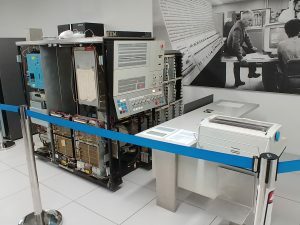 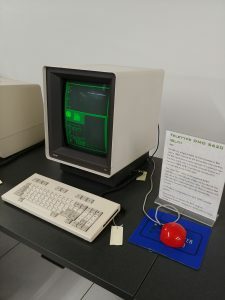 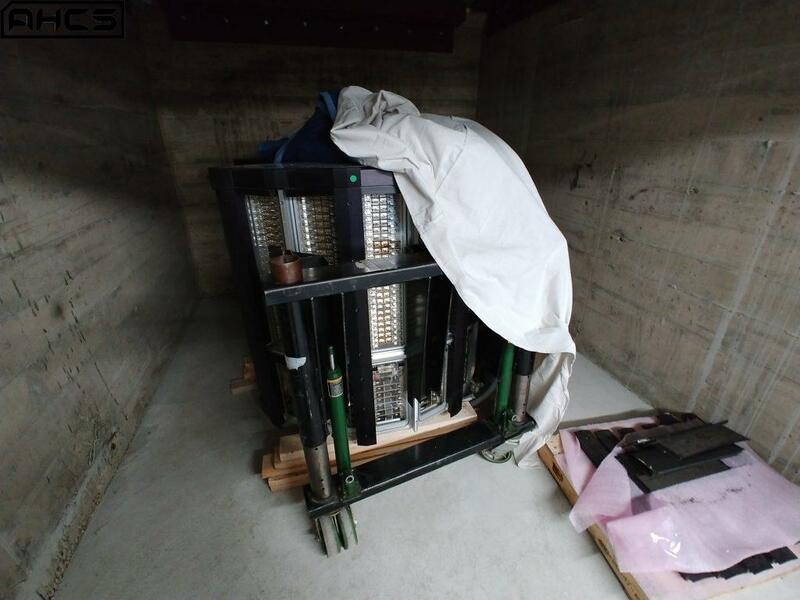 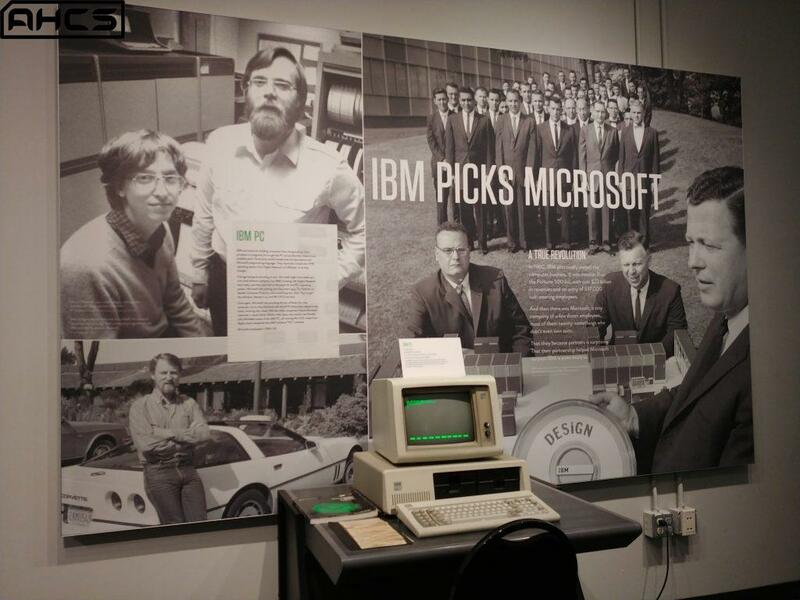 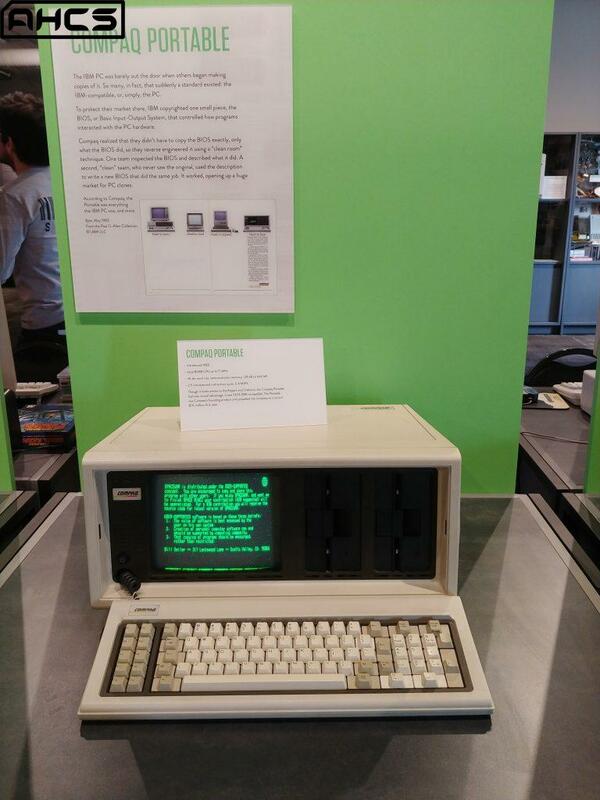 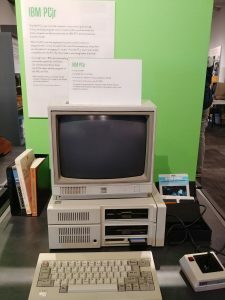 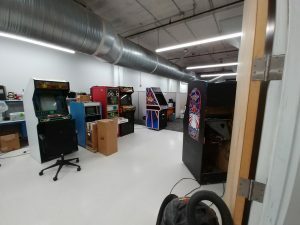 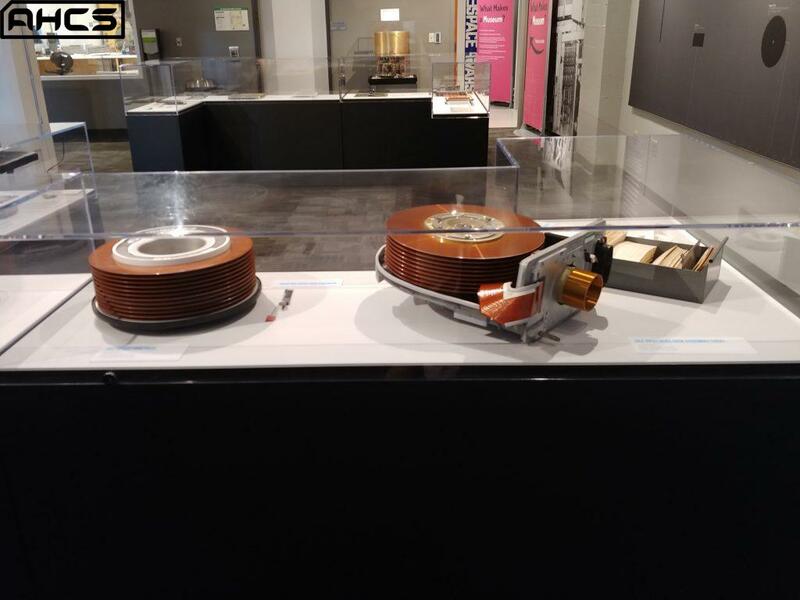 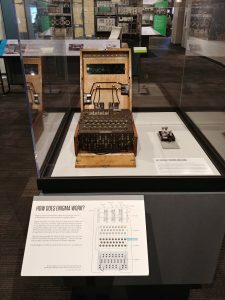 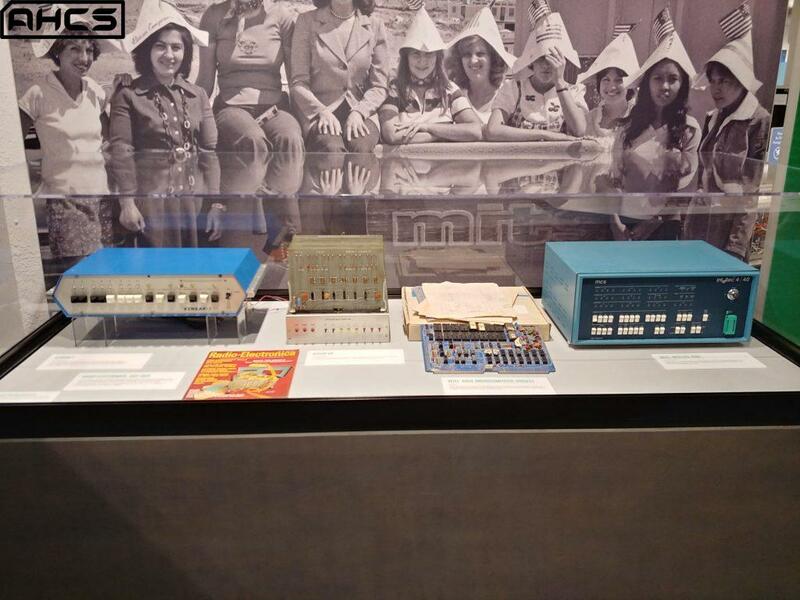 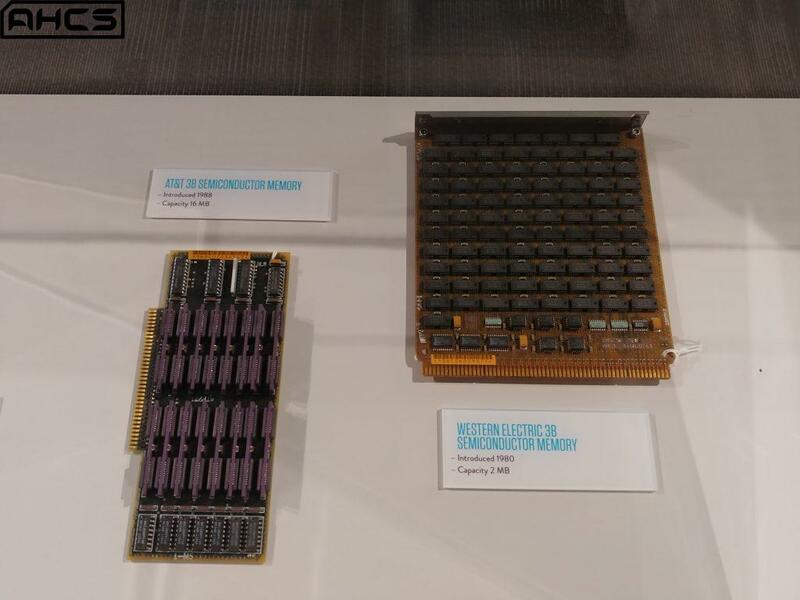 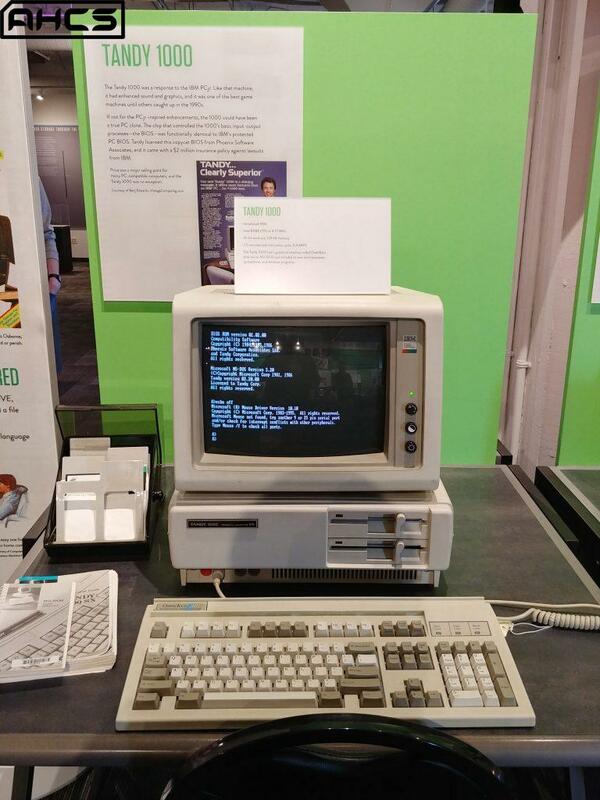 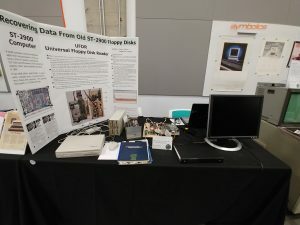 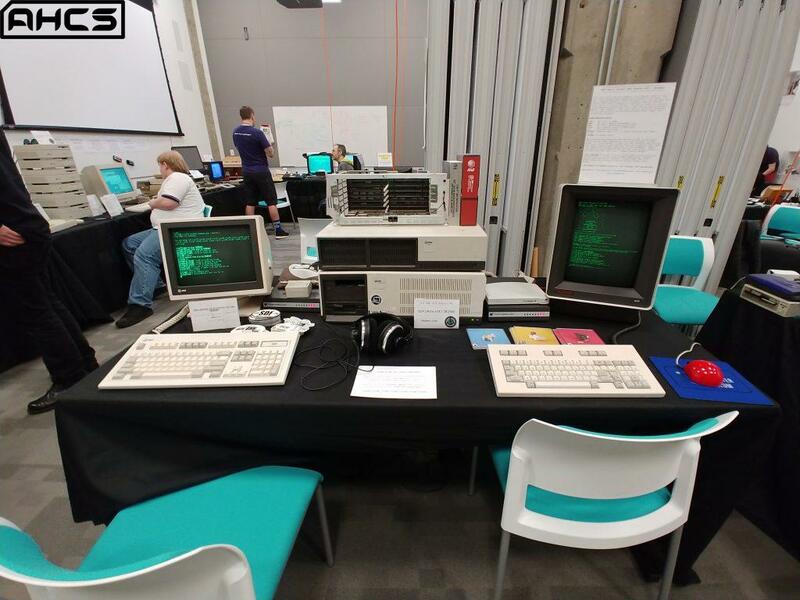 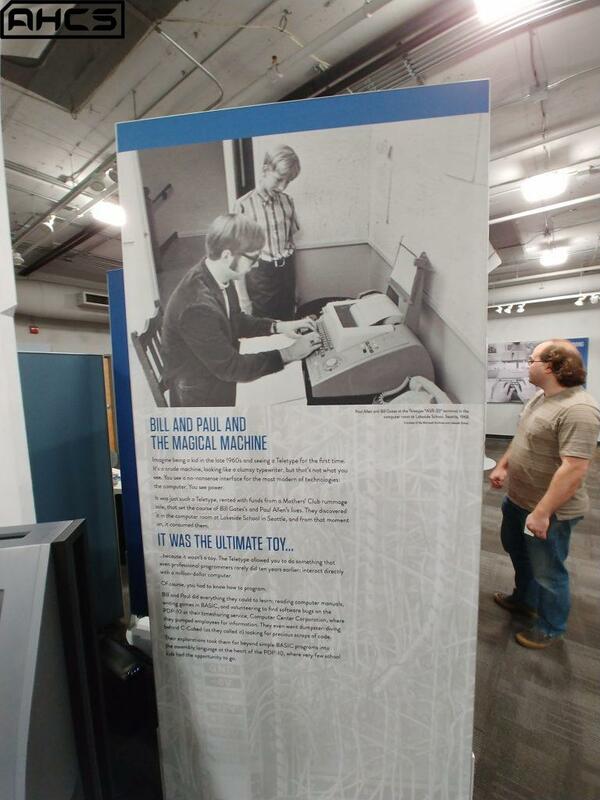 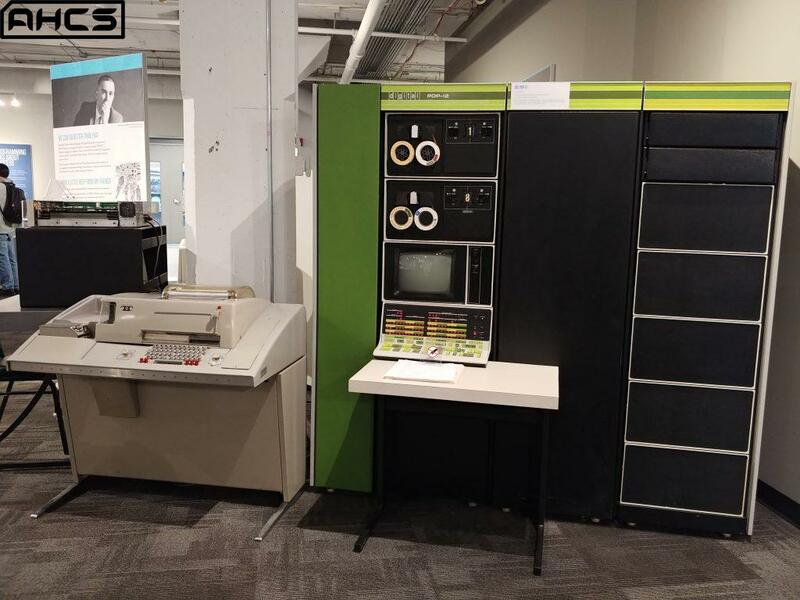 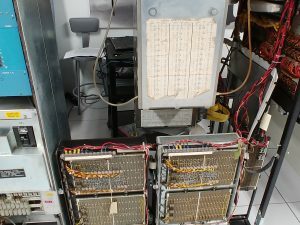 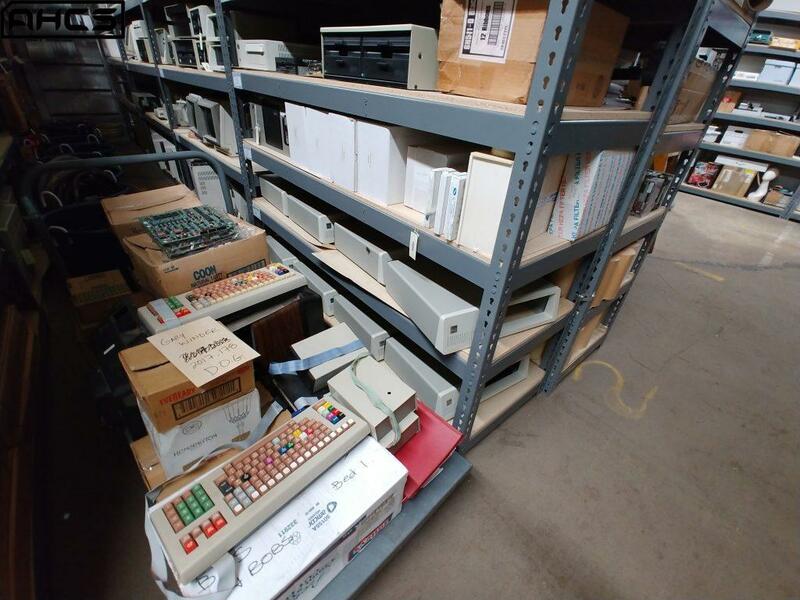 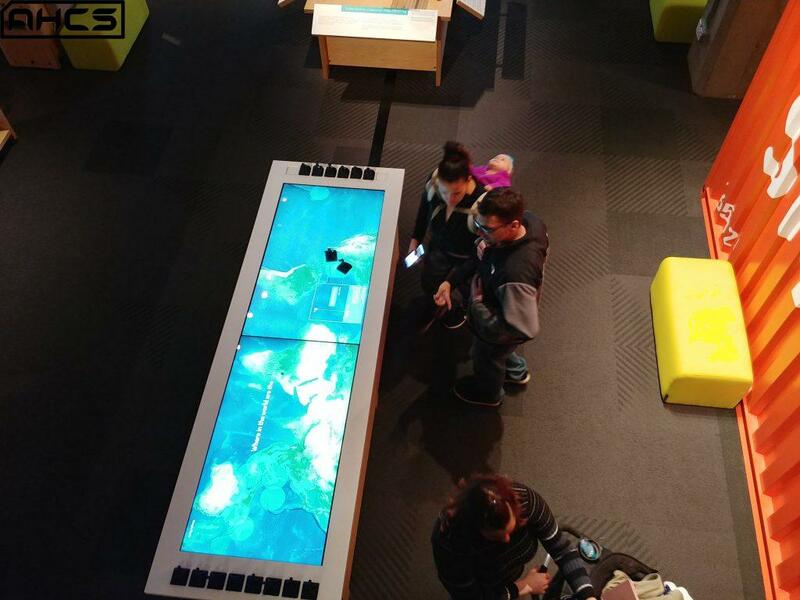 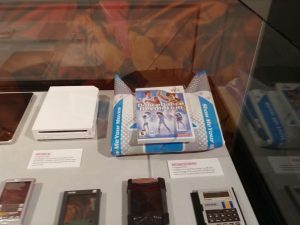 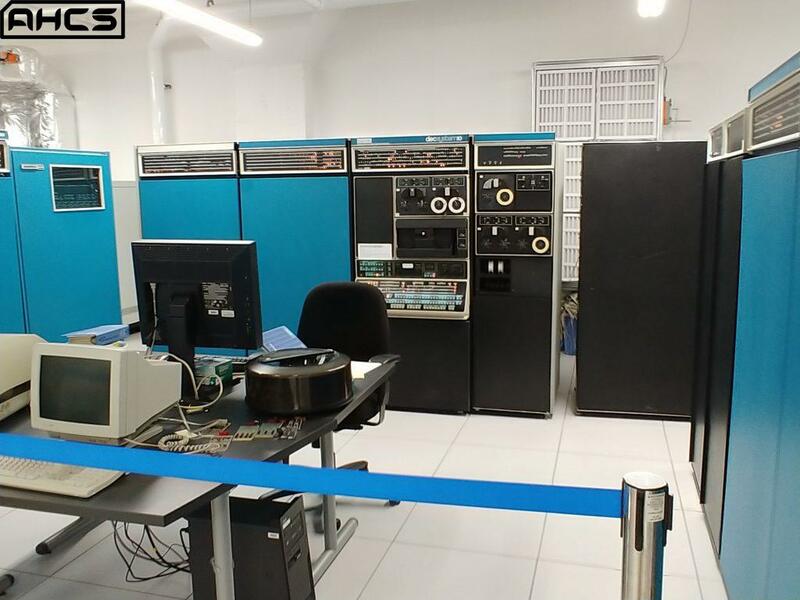 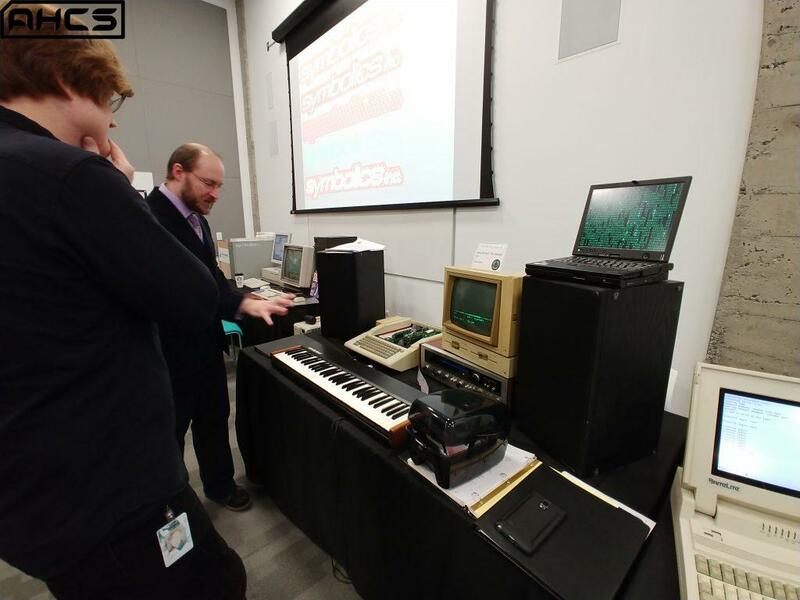 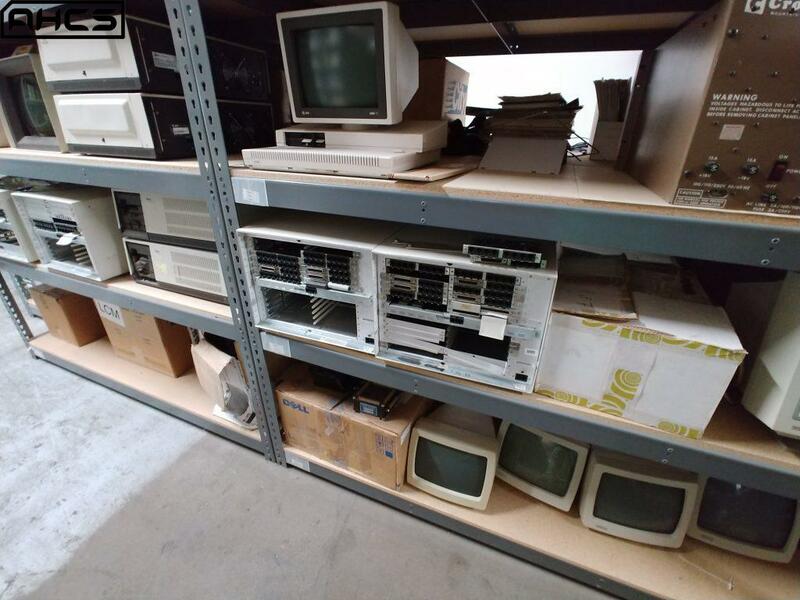 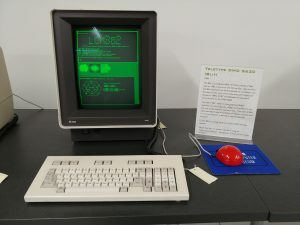 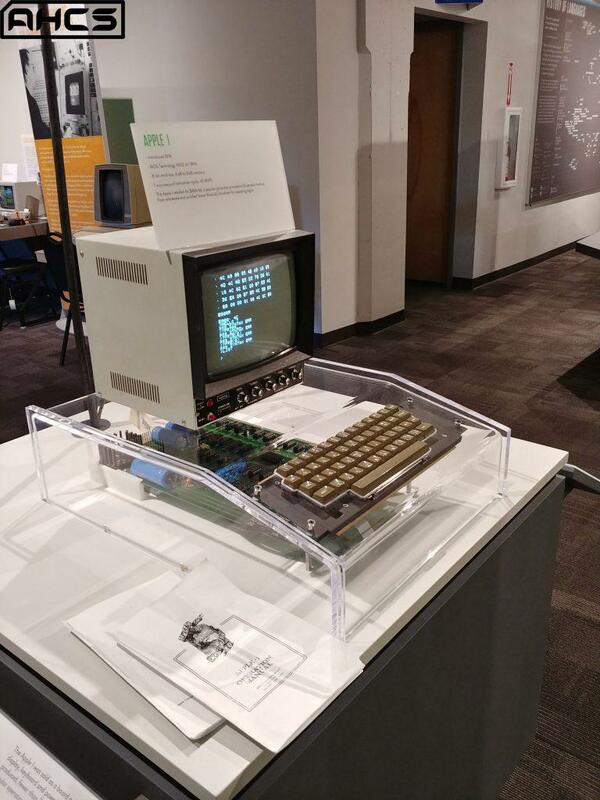 In addition, there will be over 20 working, hands-on exhibits on display spanning the history of computers from the earliest days of mainframe and mini-computers right up to the micro-computers (and, yes, gaming consoles) of the 1980s and 1990s. 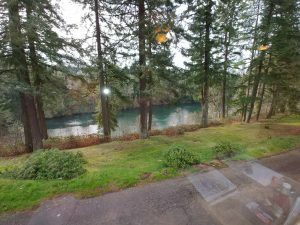 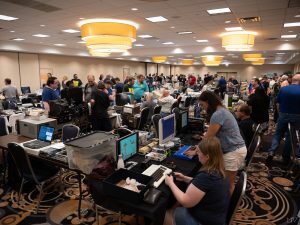 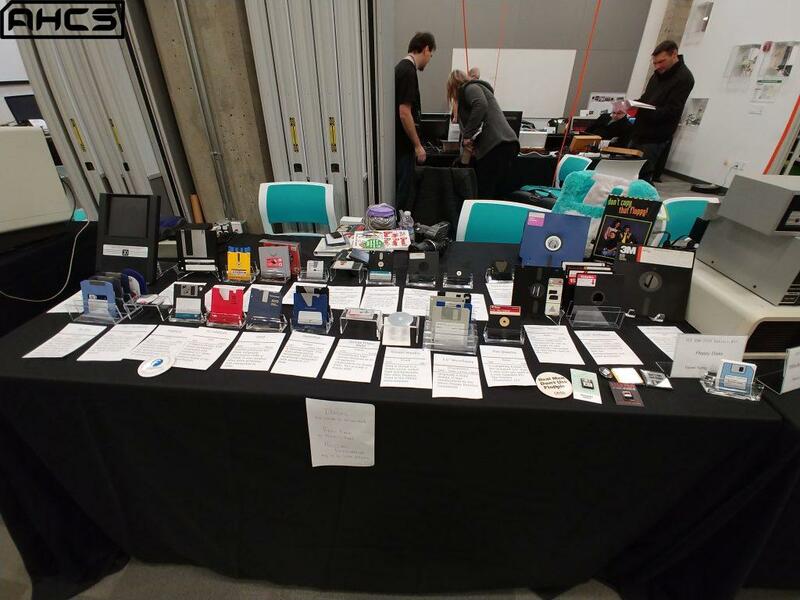 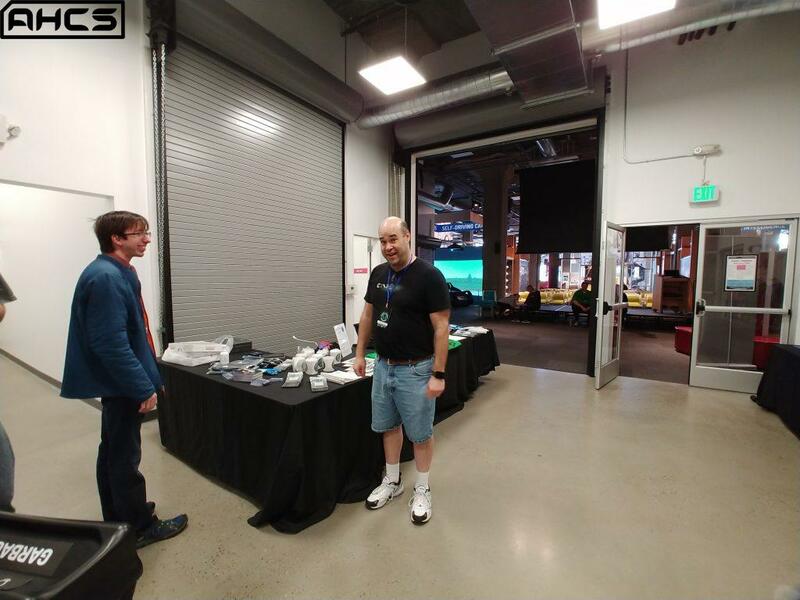 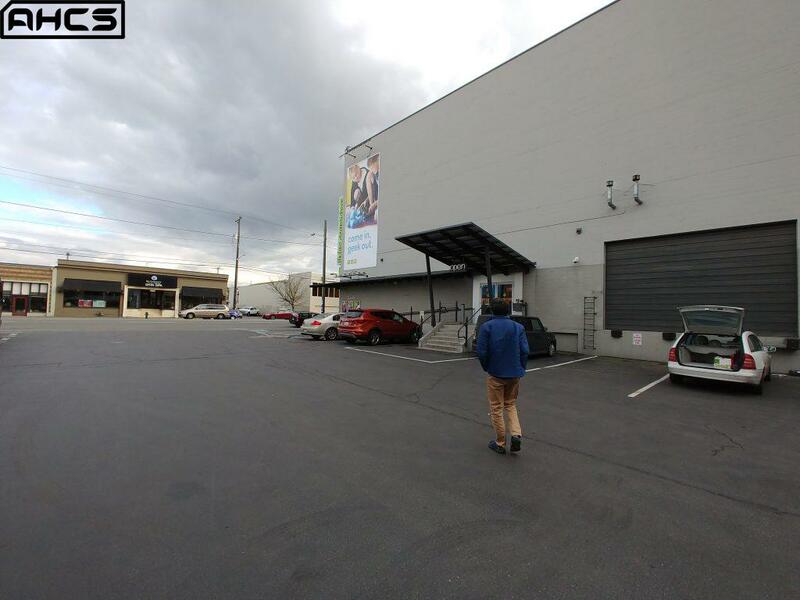 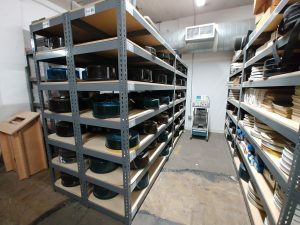 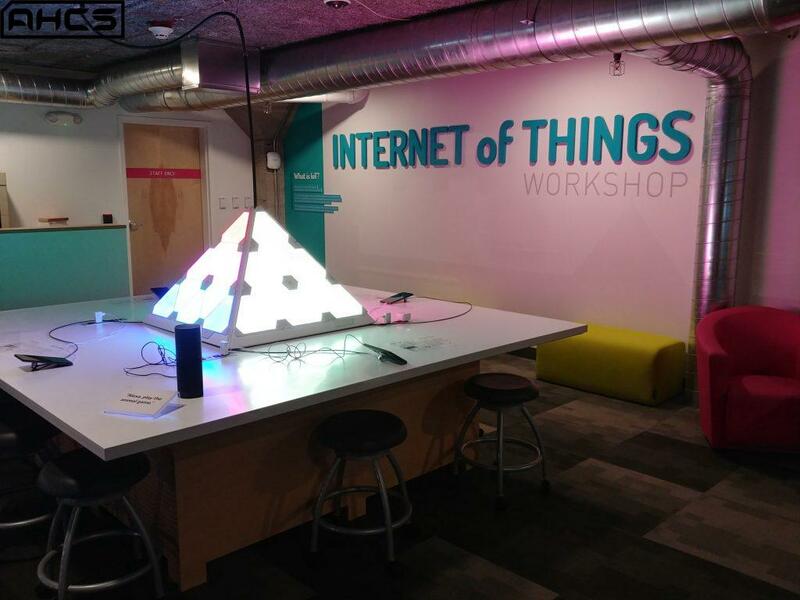 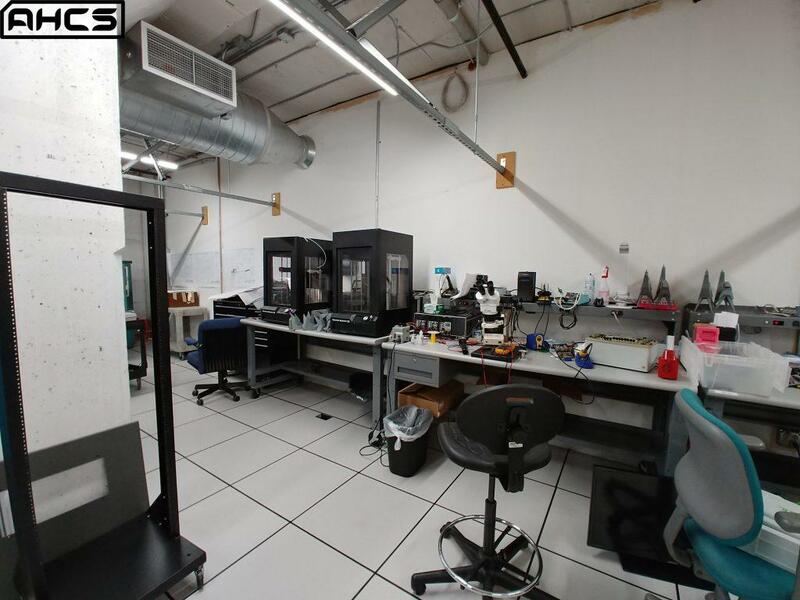 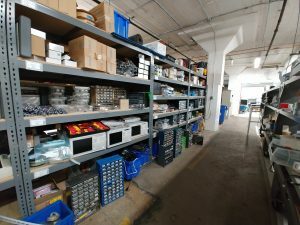 Also included are hands-on activities (including a supervised soldering station), a consignment area, a vendor area, and concessions for attendees. 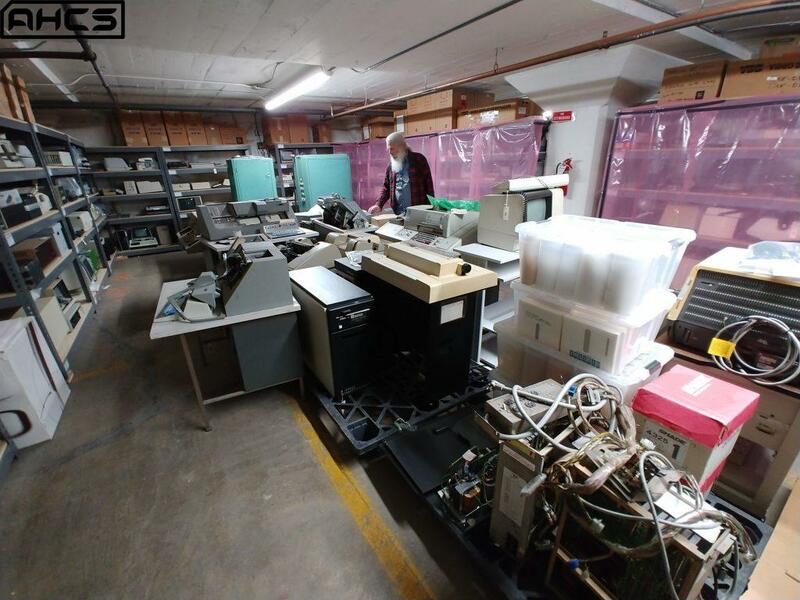 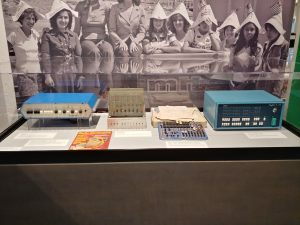 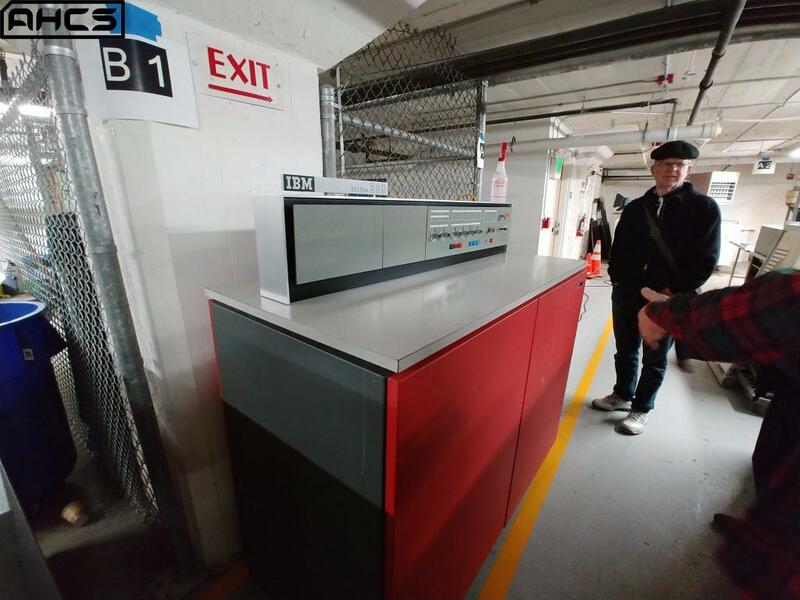 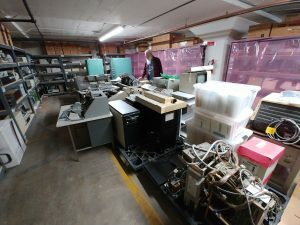 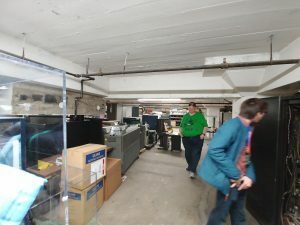 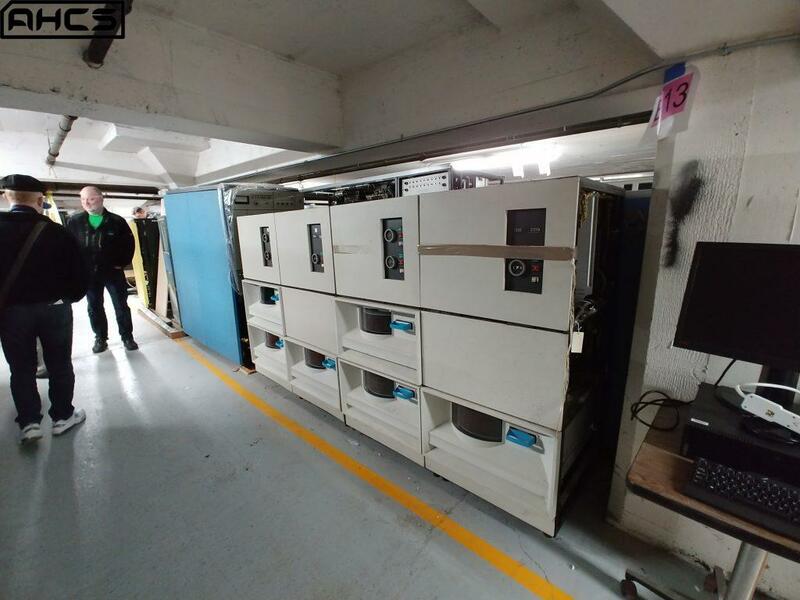 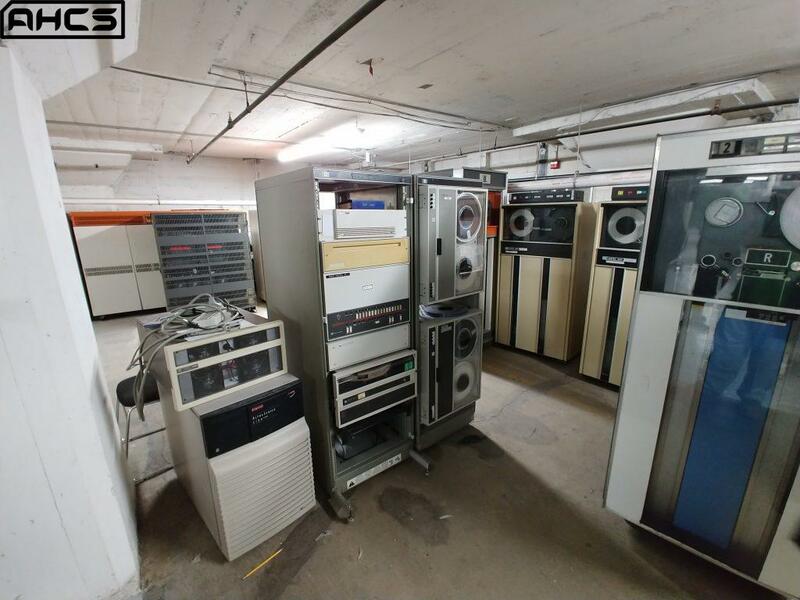 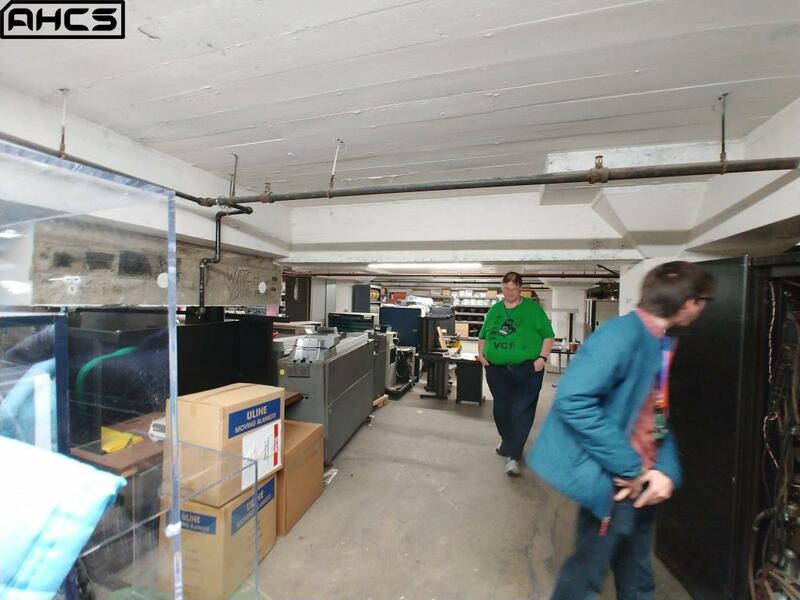 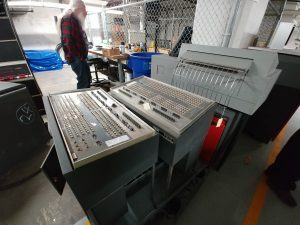 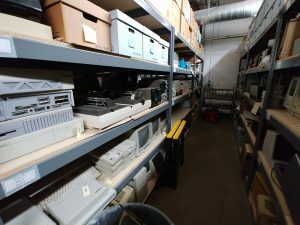 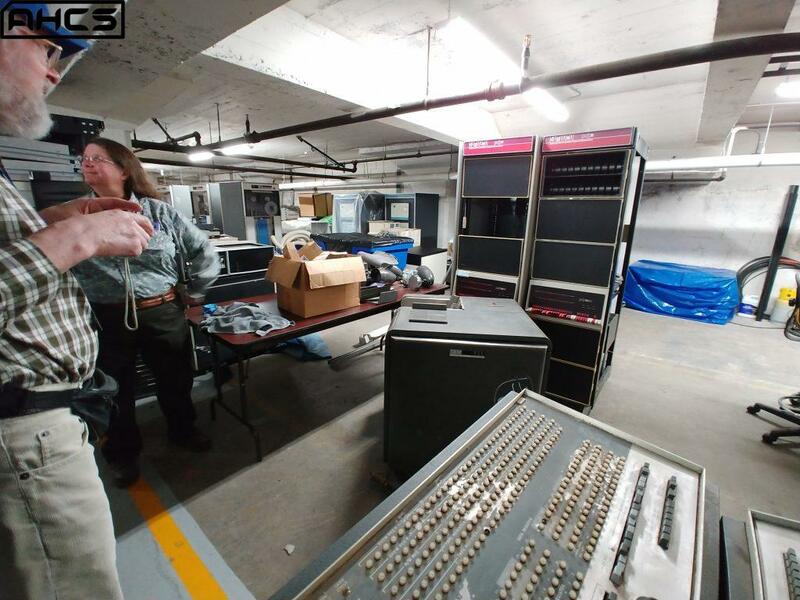 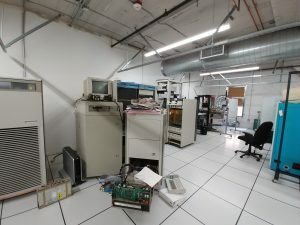 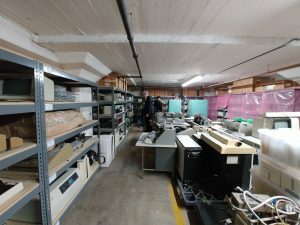 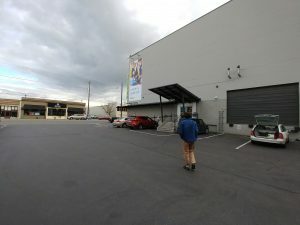 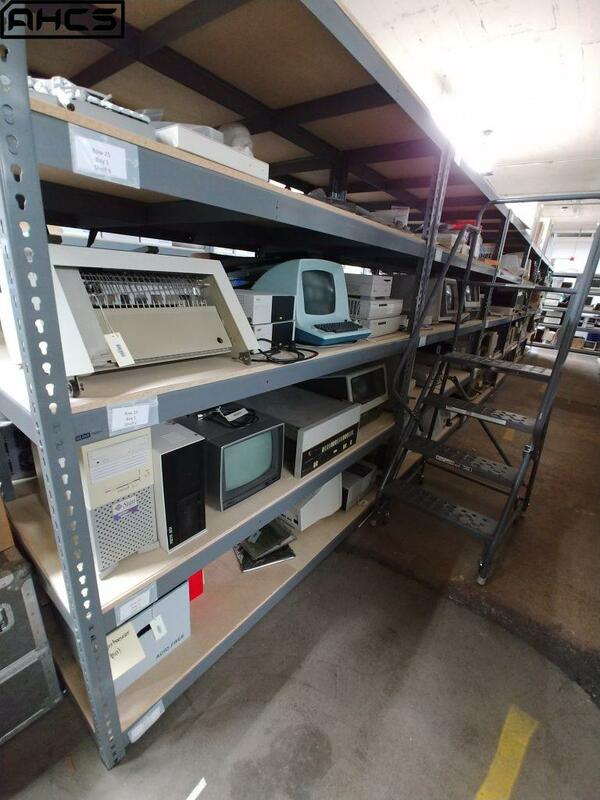 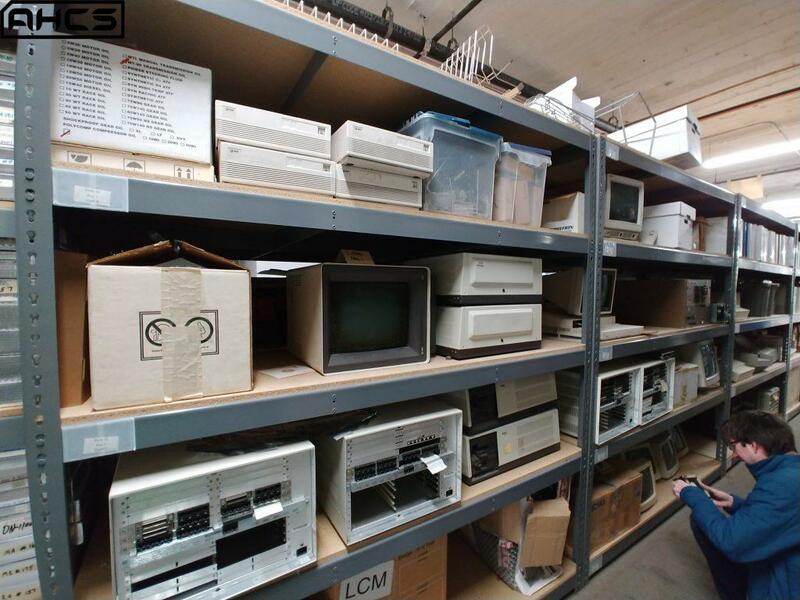 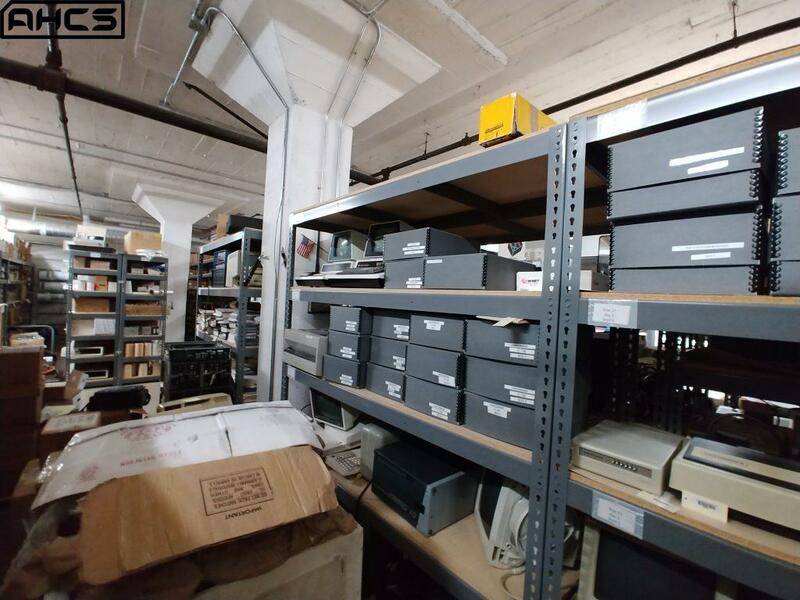 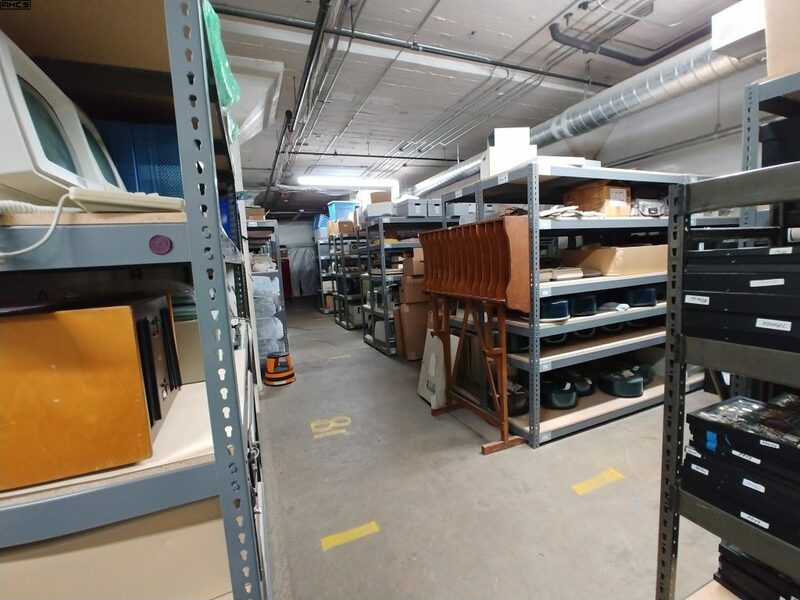 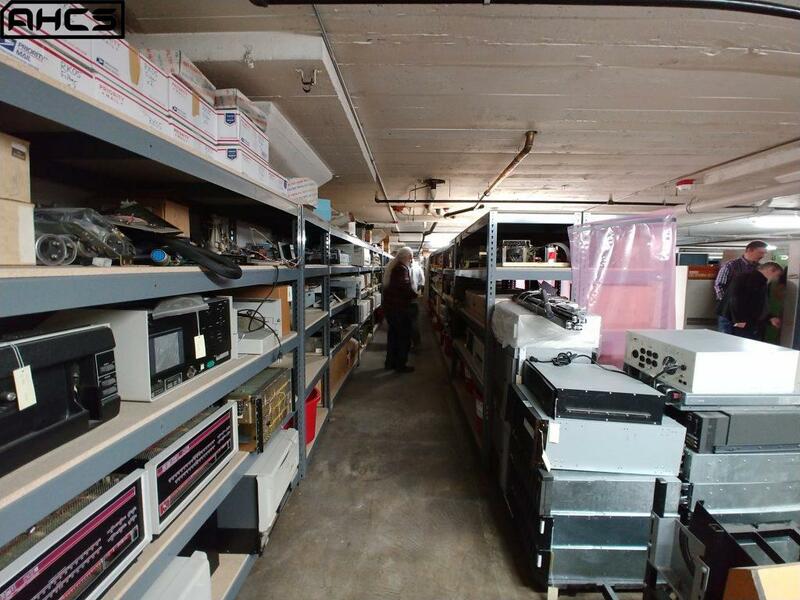 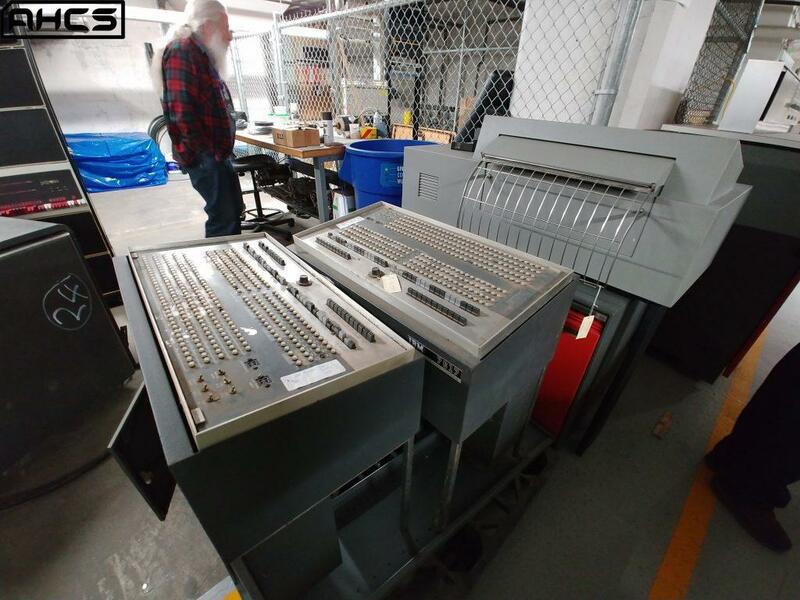 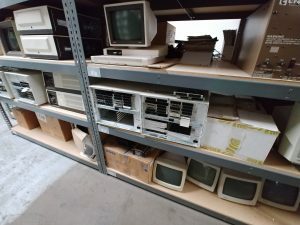 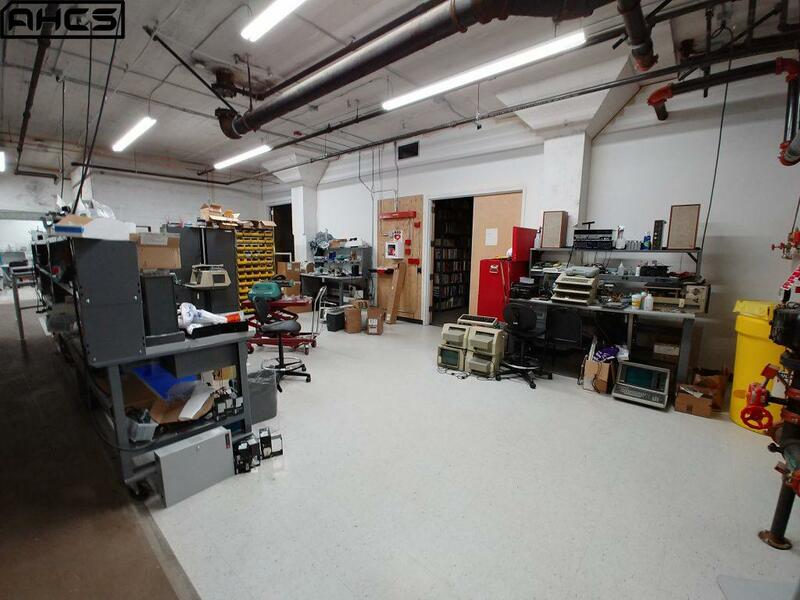 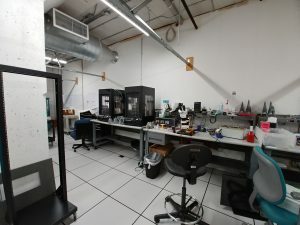 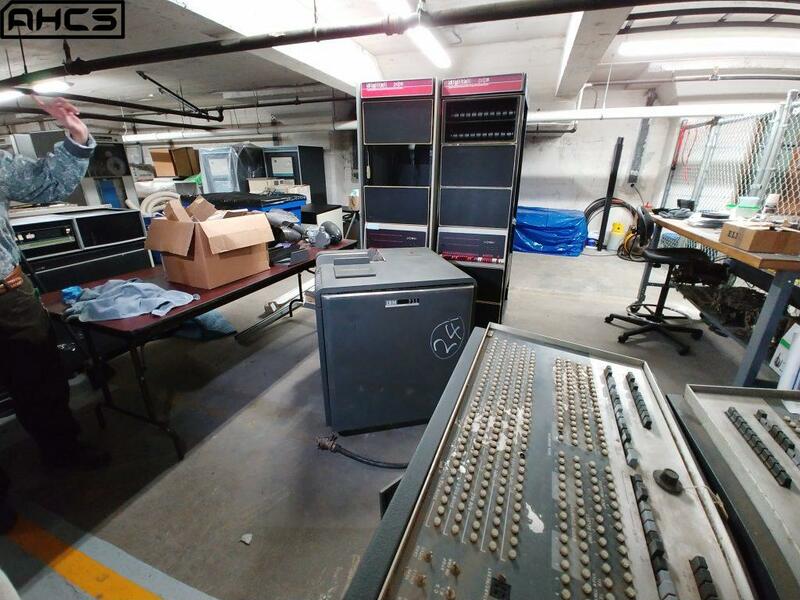 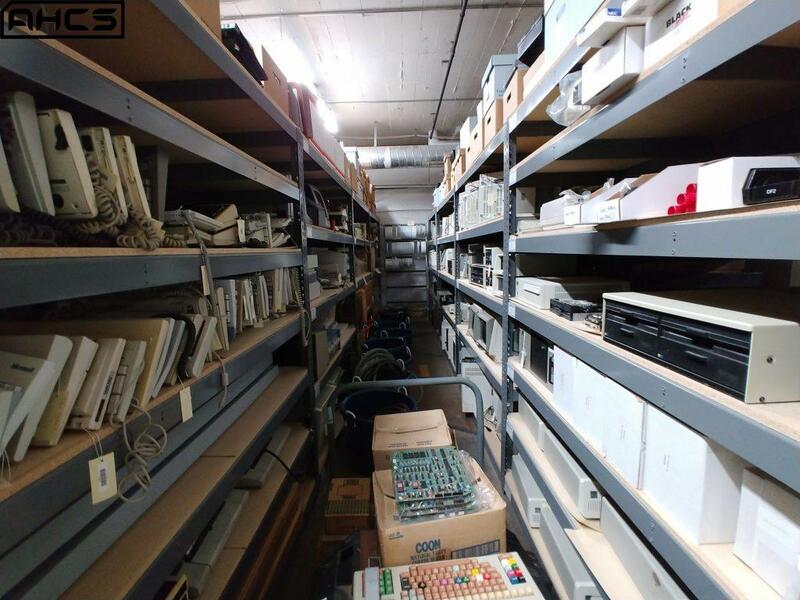 Finally, all attendees to the festival will be allowed to tour the Computer Museum of America, due to open in July of 2019. 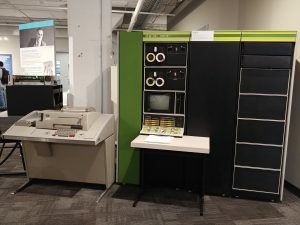 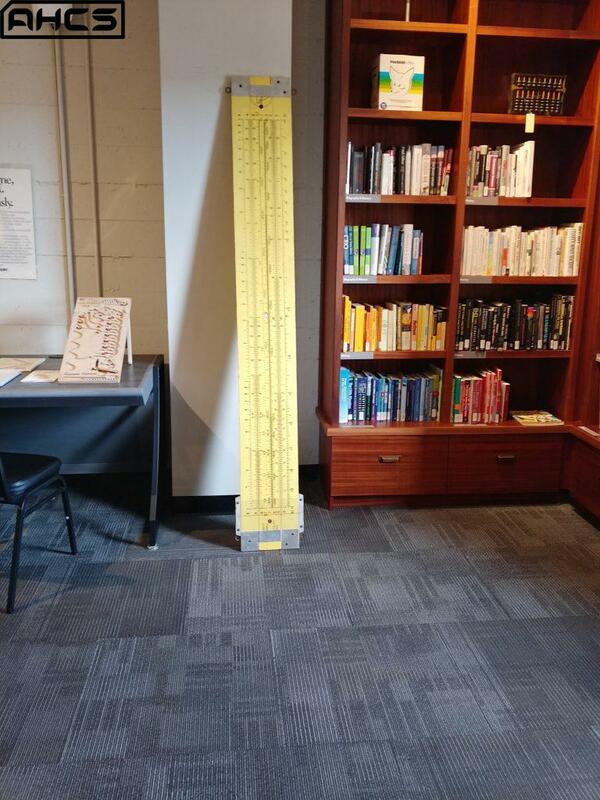 Because the Atlanta Historical Computing Society will not have access to the usual venue on the usual second-Saturday-of-the-month meeting day, the April meeting has been moved ahead one week to Saturday, April 6, 2019. 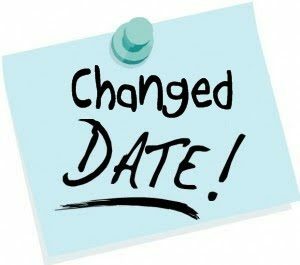 The time (1pm-5pm) and meeting place (Christ the King Lutheran Church in Lawrenceville, GA) of the April meeting will otherwise remain the same. 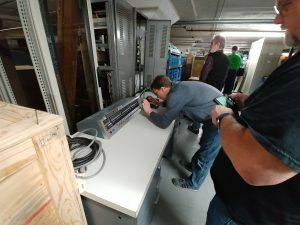 This earlier date will also allow the club to address any last minute VCFSE 7.0 concerns or issues in a timely fashion. 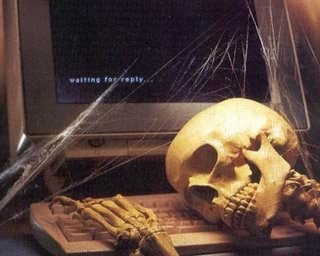 Please make a note of the earlier date. 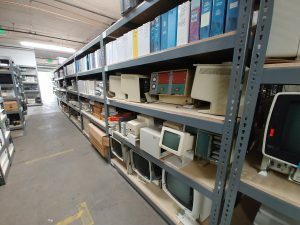 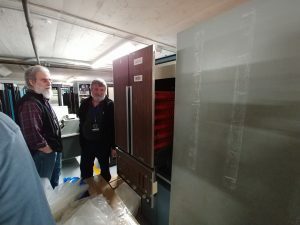 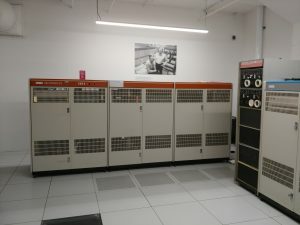 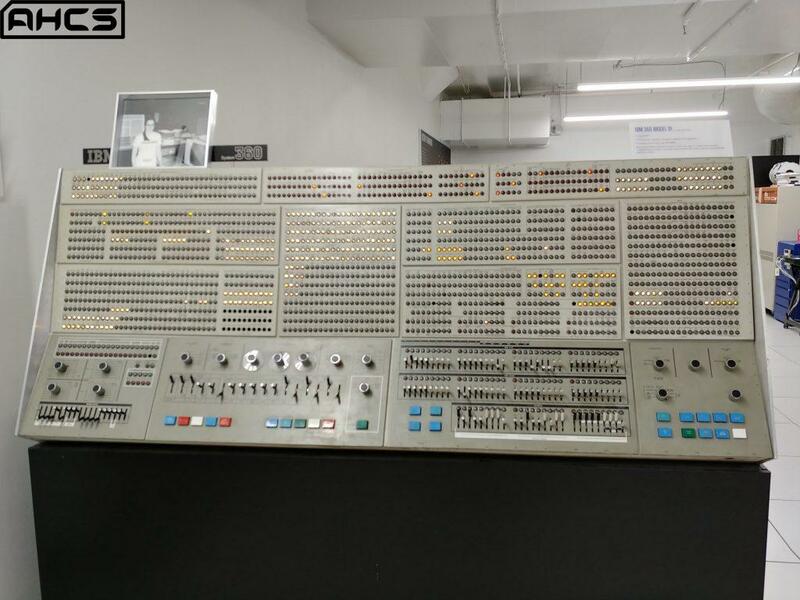 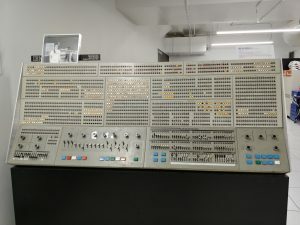 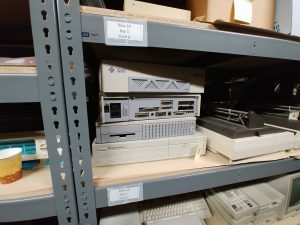 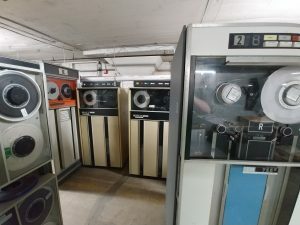 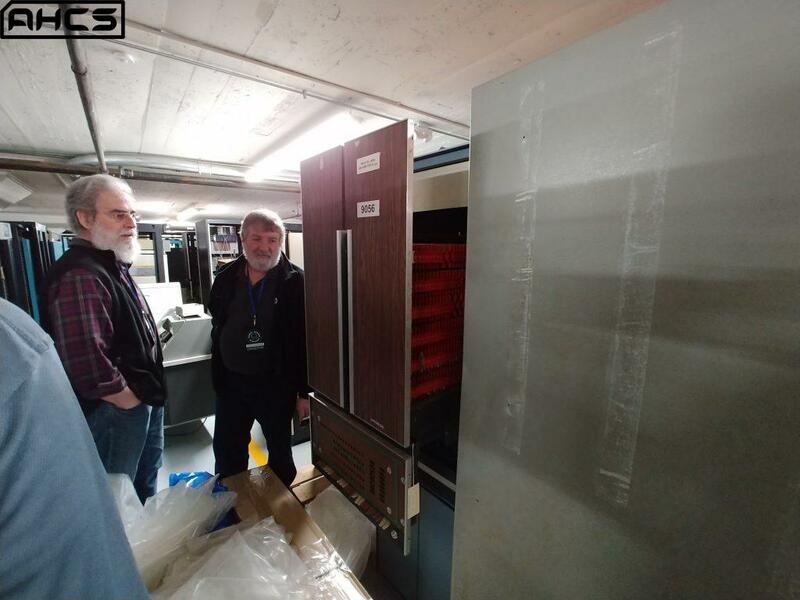 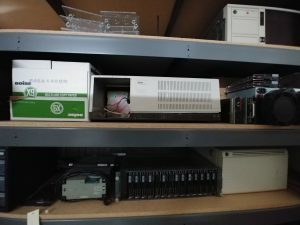 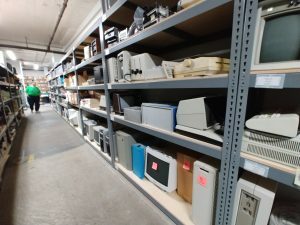 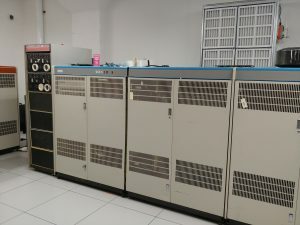 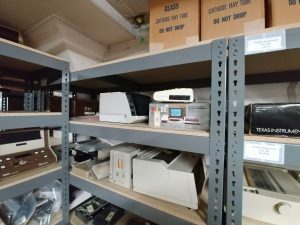 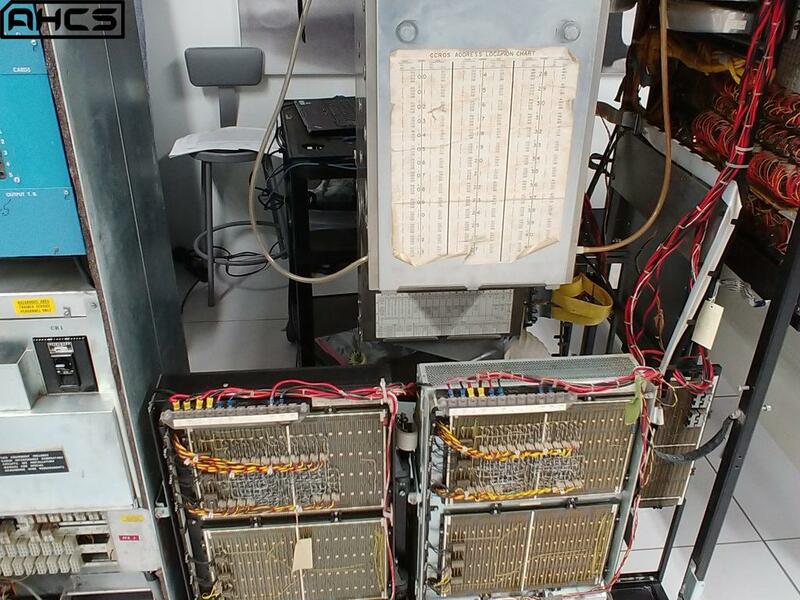 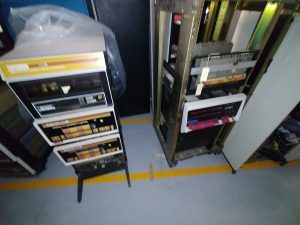 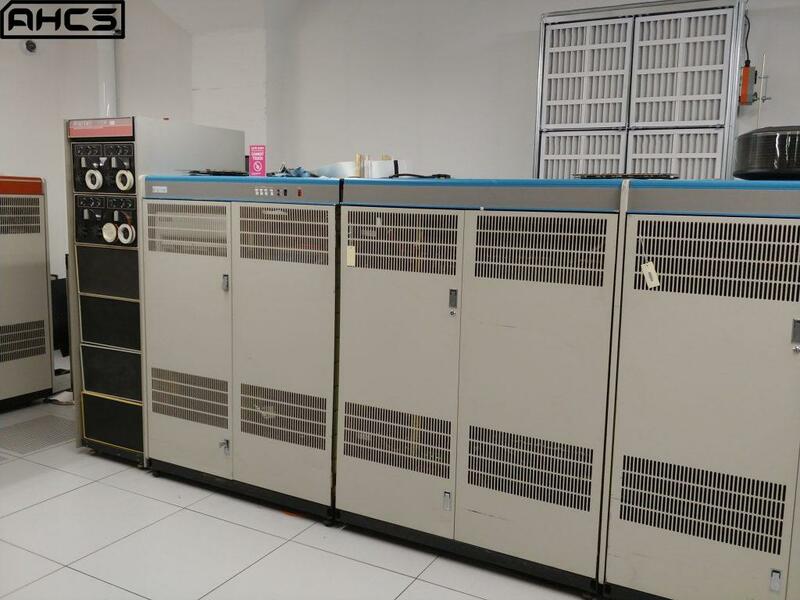 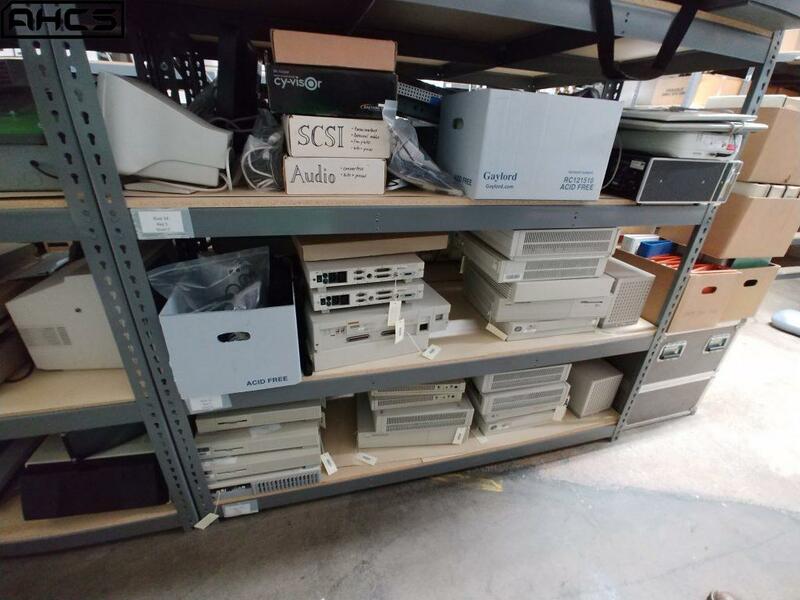 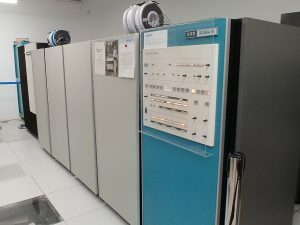 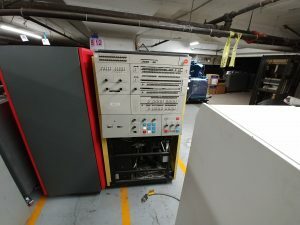 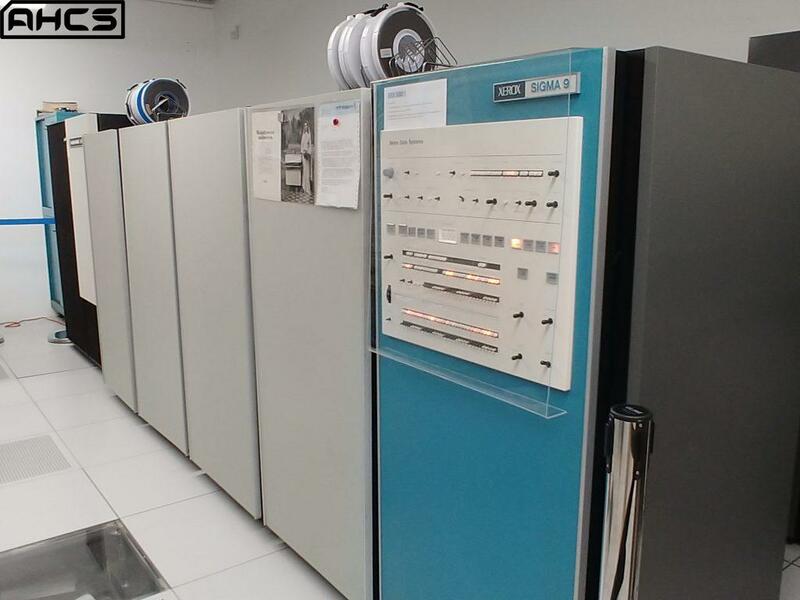 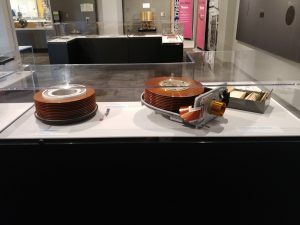 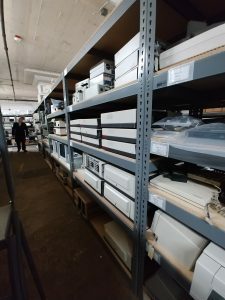 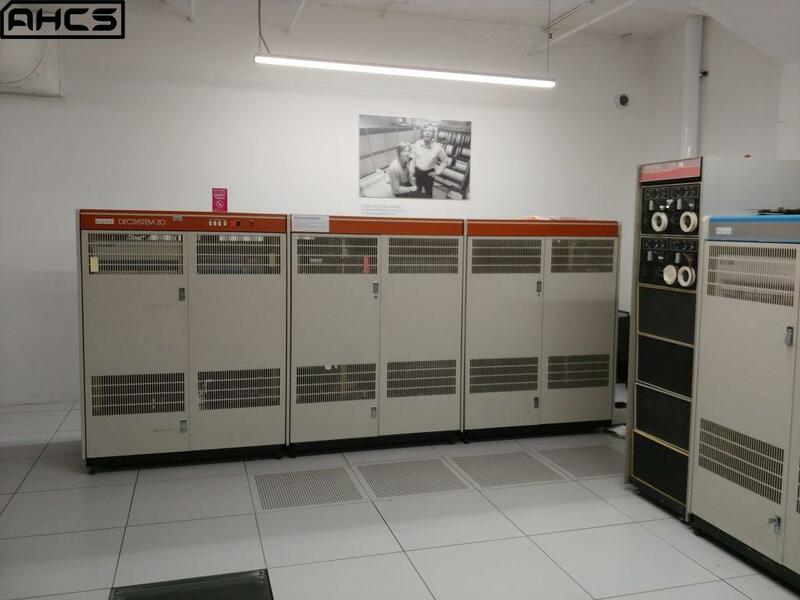 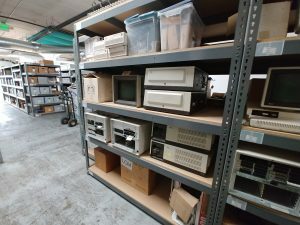 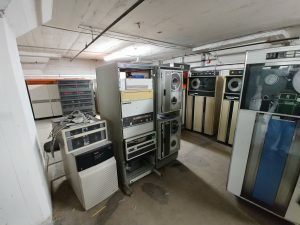 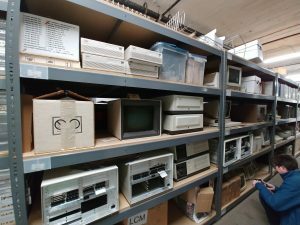 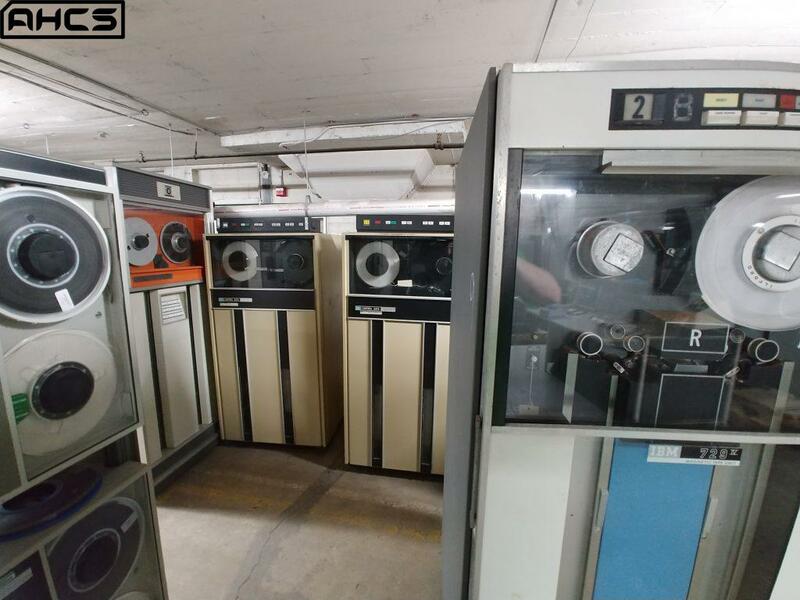 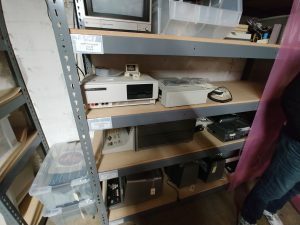 All current and prospective Atlanta Historical Computing Society members are encouraged to attend this final meeting before the big Vintage Computer Festival SouthEast 7.0 show on April 27-28. 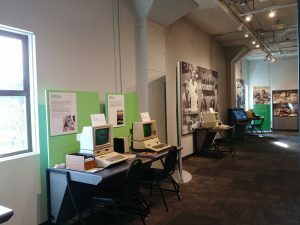 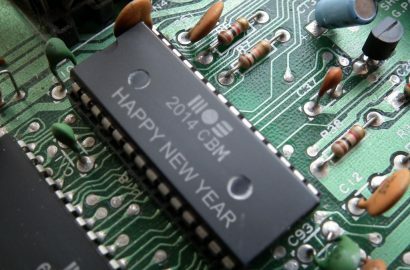 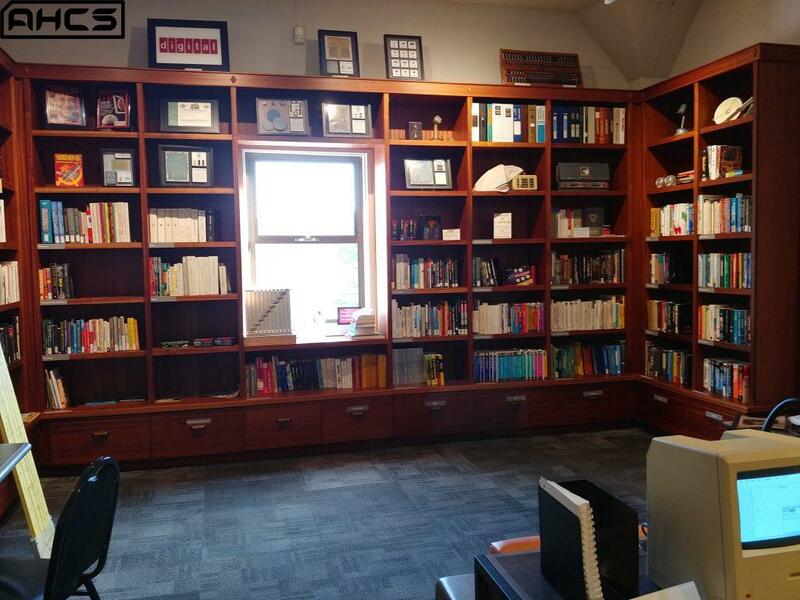 This Saturday, January 12, The Atlanta Historical Computing Society will hold it’s regular monthly meeting from 1pm-5pm; this will be the first club meeting of 2019. Any and all members, along with anyone who holds a keen interest in historical computing, are encouraged to attend. 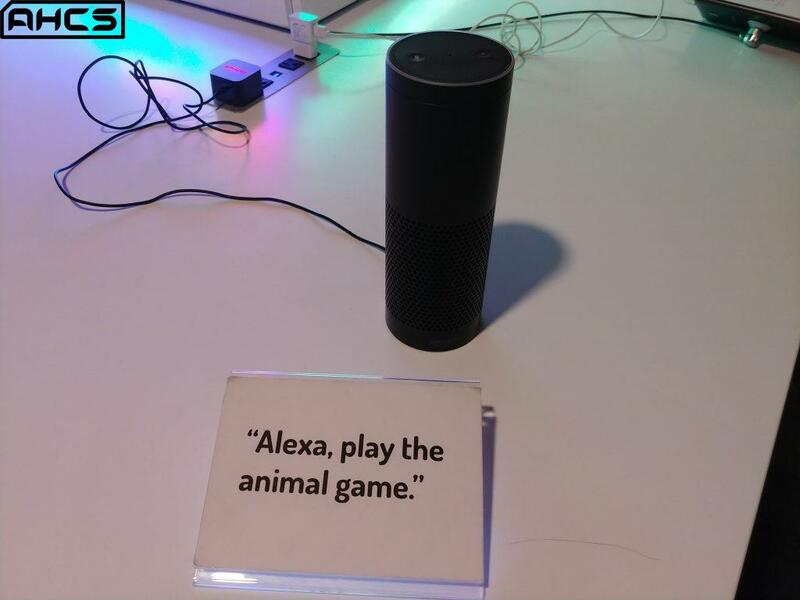 And if you have any computers, consoles, etc. 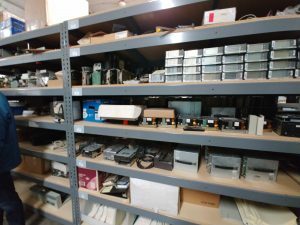 that you need help fixing, or if you have anything you’d like to show off to the club, bring them along, too. 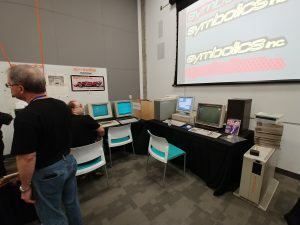 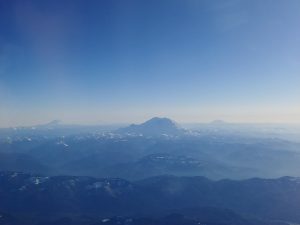 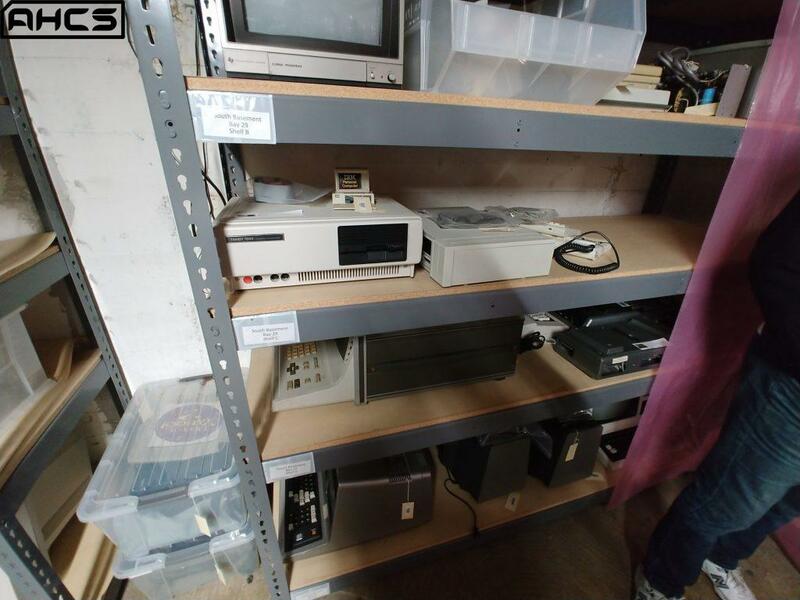 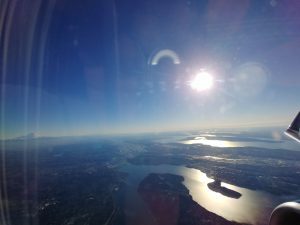 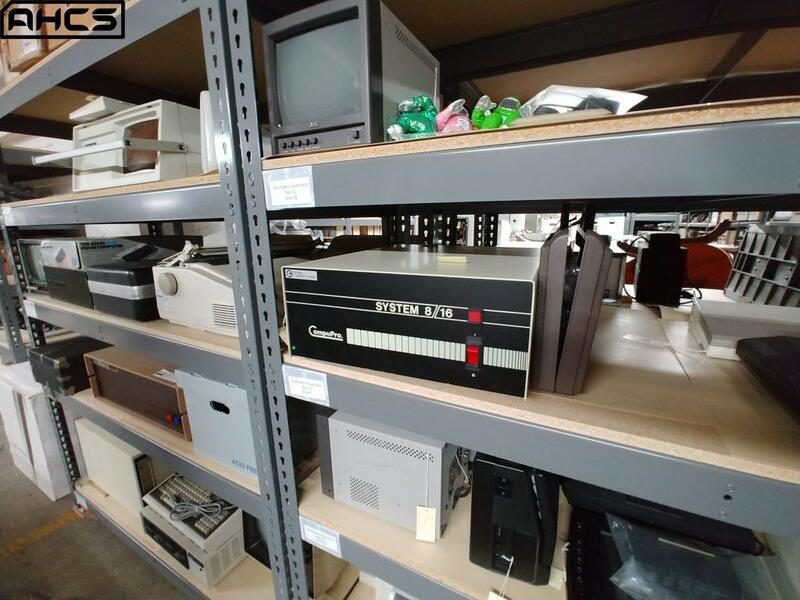 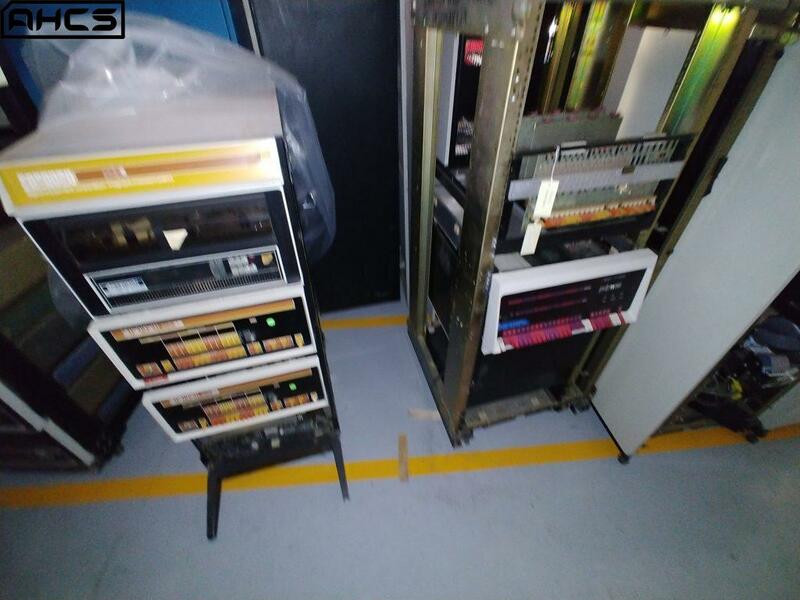 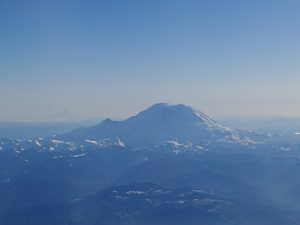 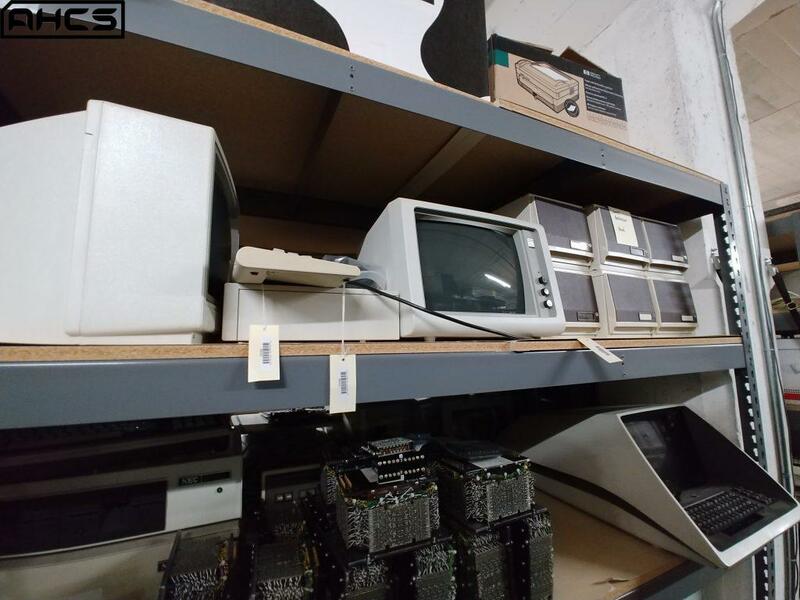 Among the topics to be discussed in this meeting will be fleshing out further details about Vintage Computer Festival SouthEast 7.0, which is scheduled for April 27-28, 2019. Please don’t miss this meeting, which will be held at our normal meeting place: Christ the Lord Lutheran Church, 1001 Duluth Highway, Lawrenceville, GA 30043. 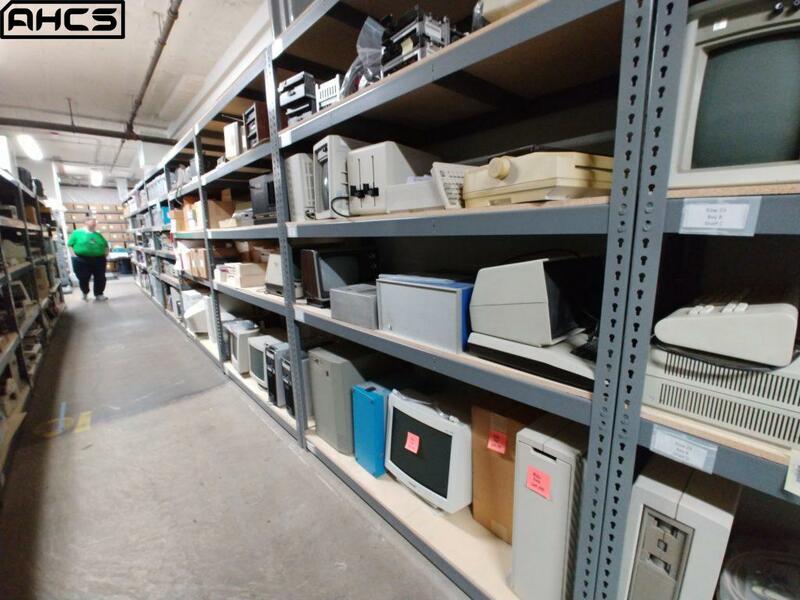 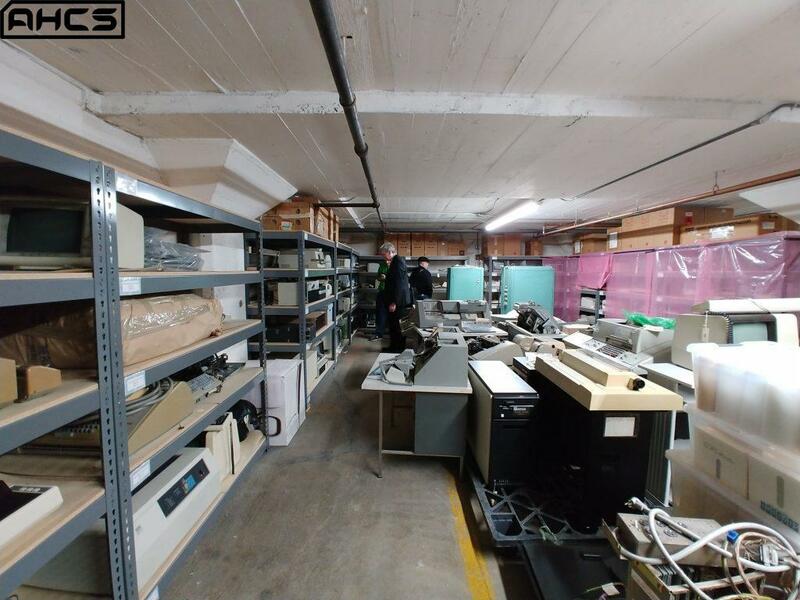 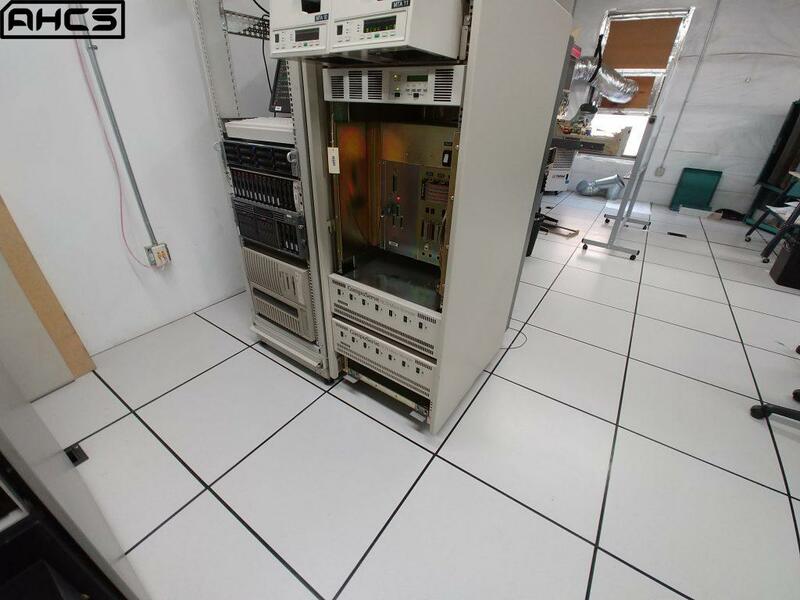 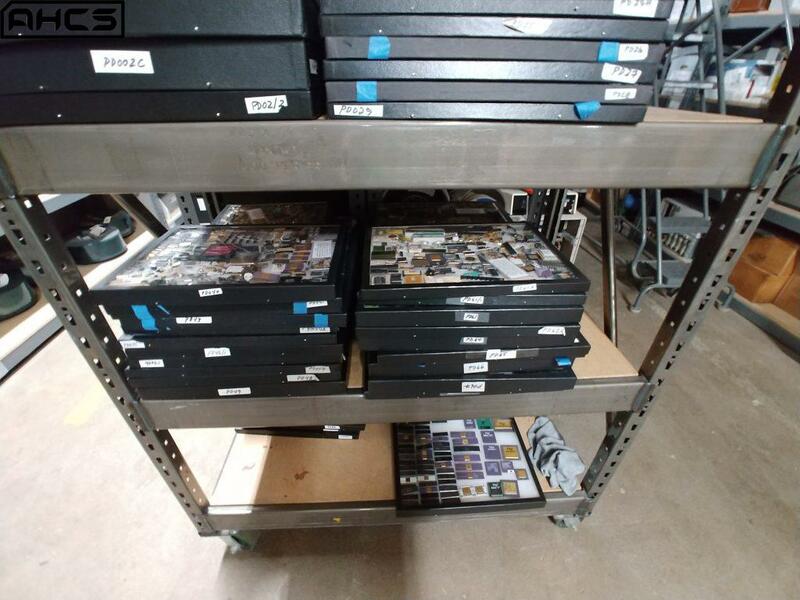 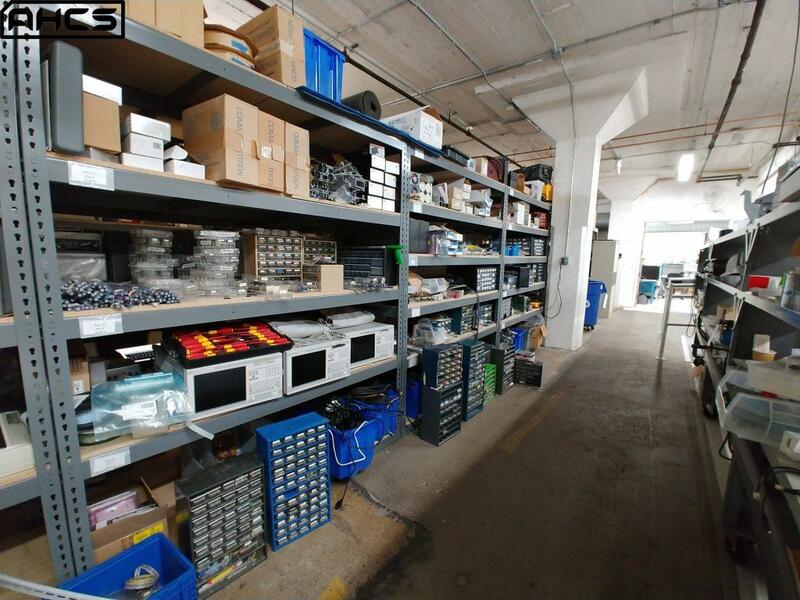 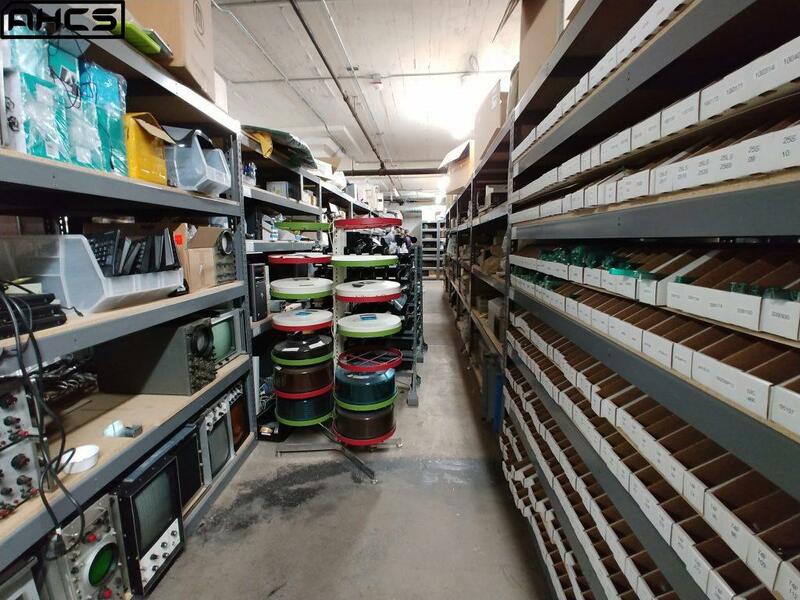 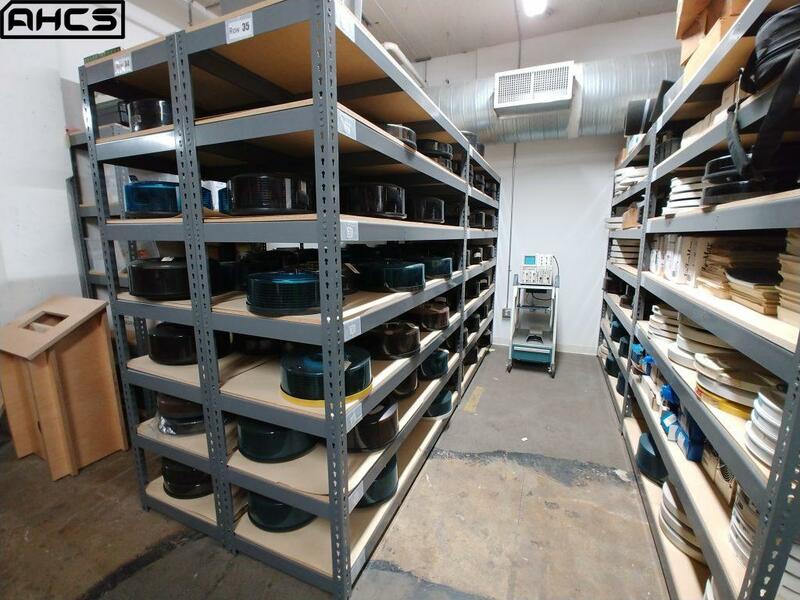 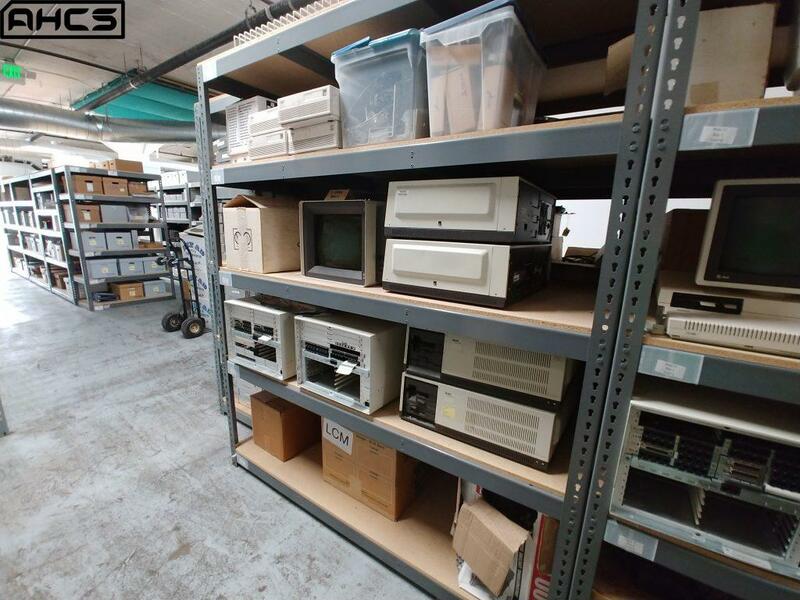 How many of the vintage equipment can access non World-Wide Web internet resources? 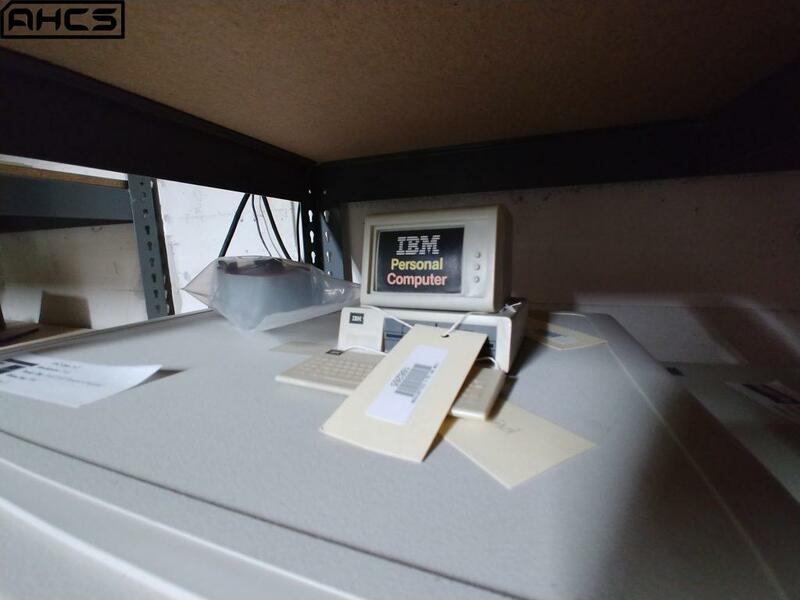 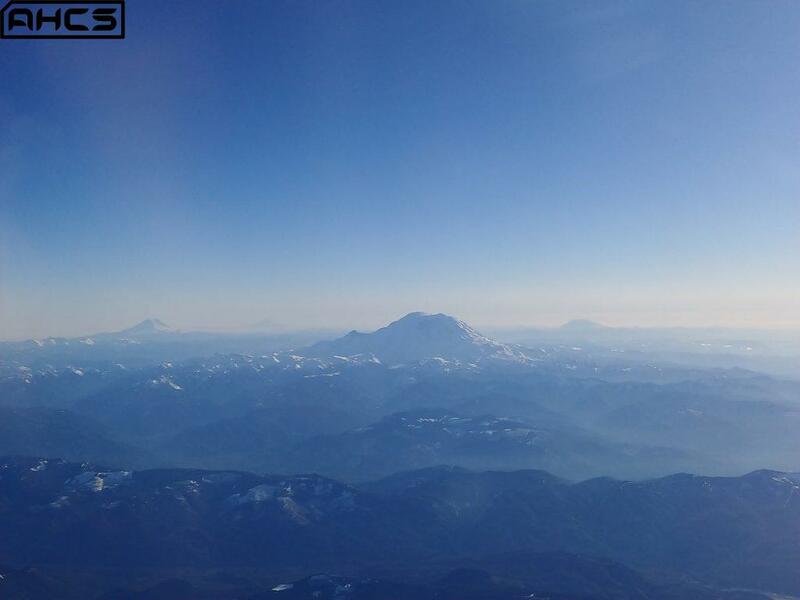 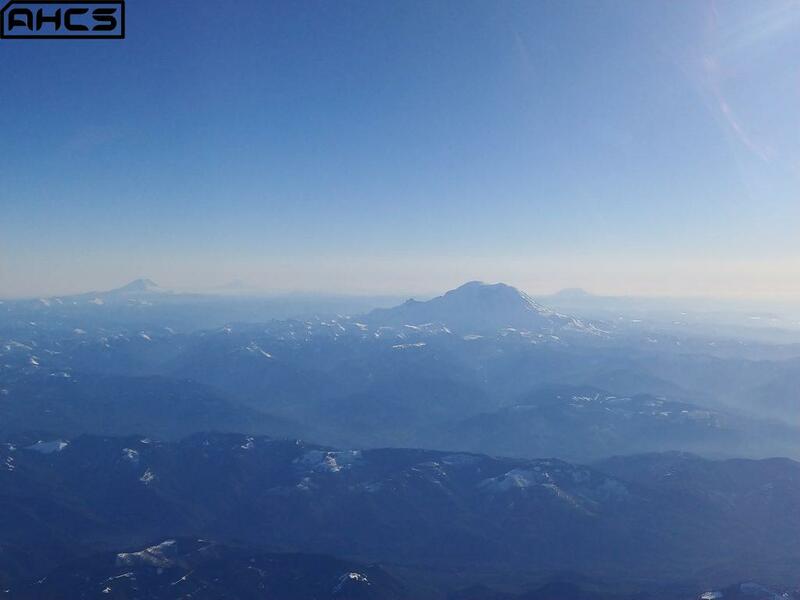 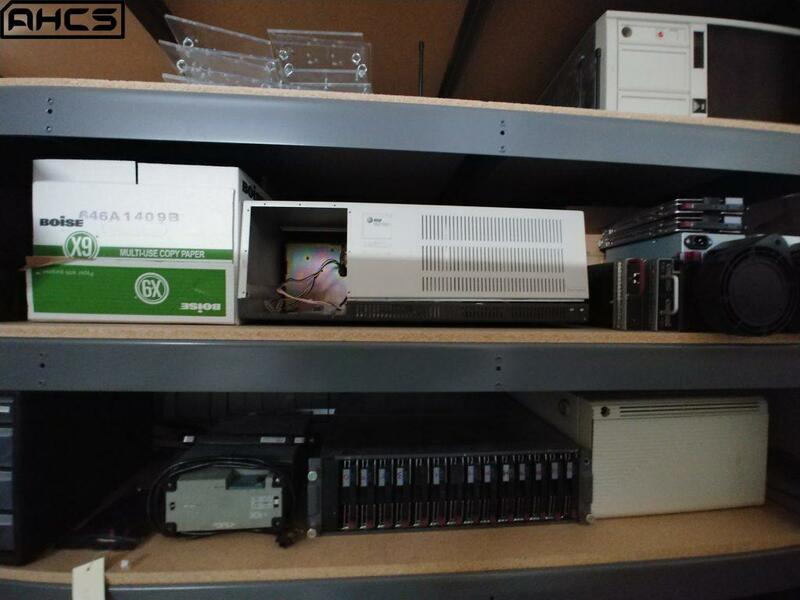 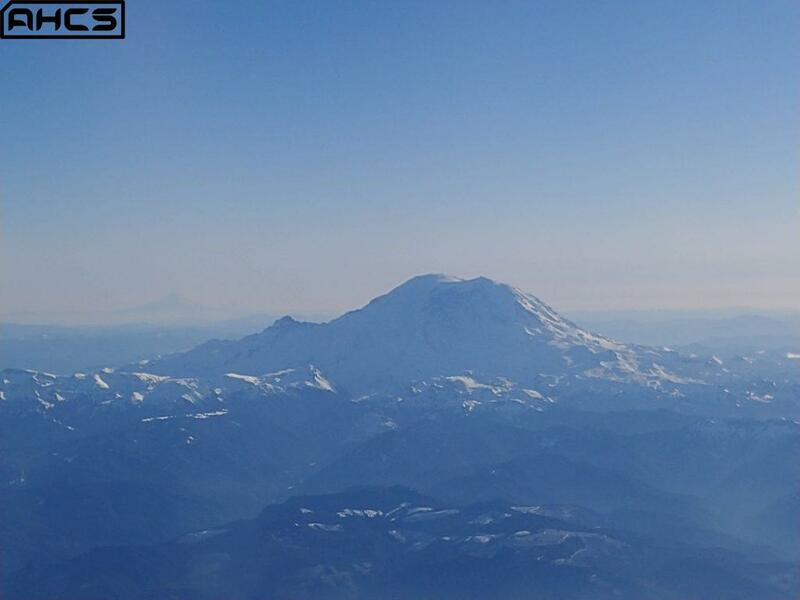 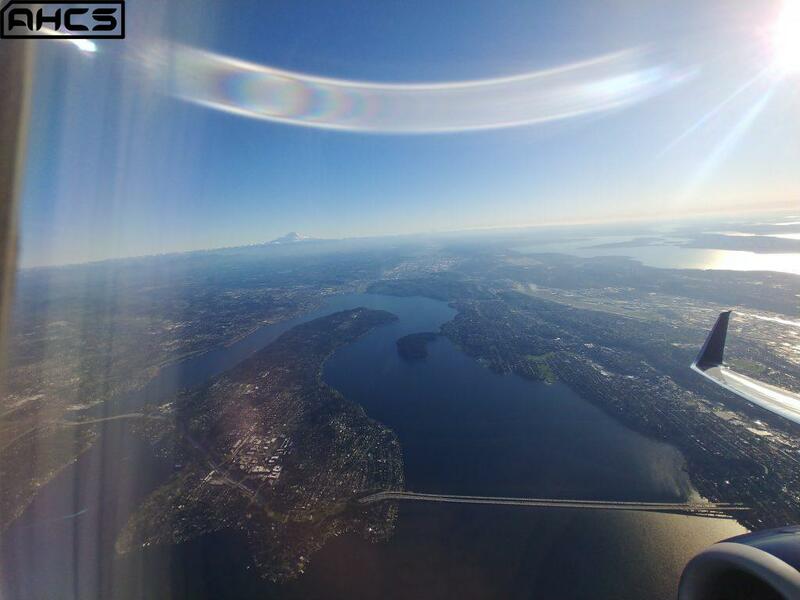 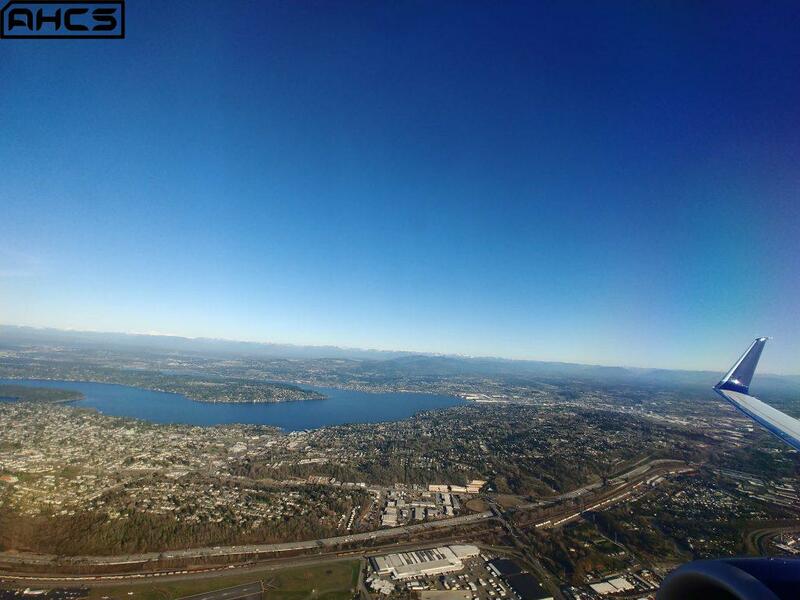 Gopher, Usenet, & BBSes may not be mainstream any more, but they sure do impress! 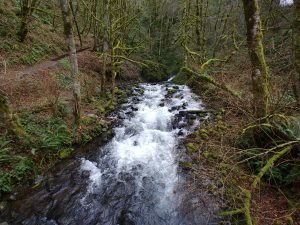 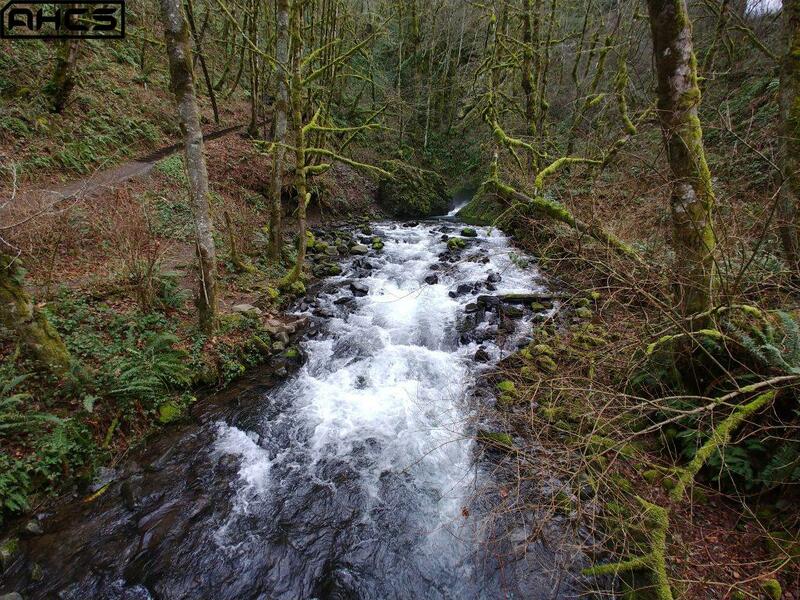 Take whatever RAM and upgrades that the machine could handle in its prime and apply them. 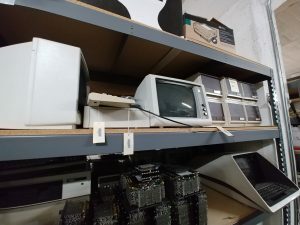 Sure, your Apple ][ may not be in its prime any more, but feed it an accelerator card like a Zip Chip II and you might see up to 8 MHz out of that puppy! 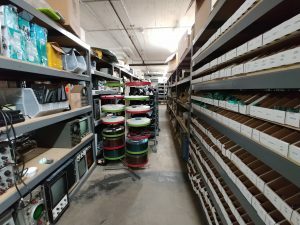 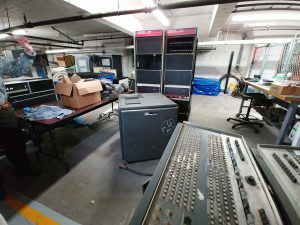 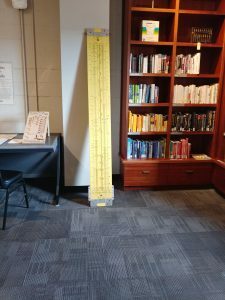 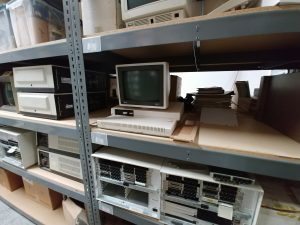 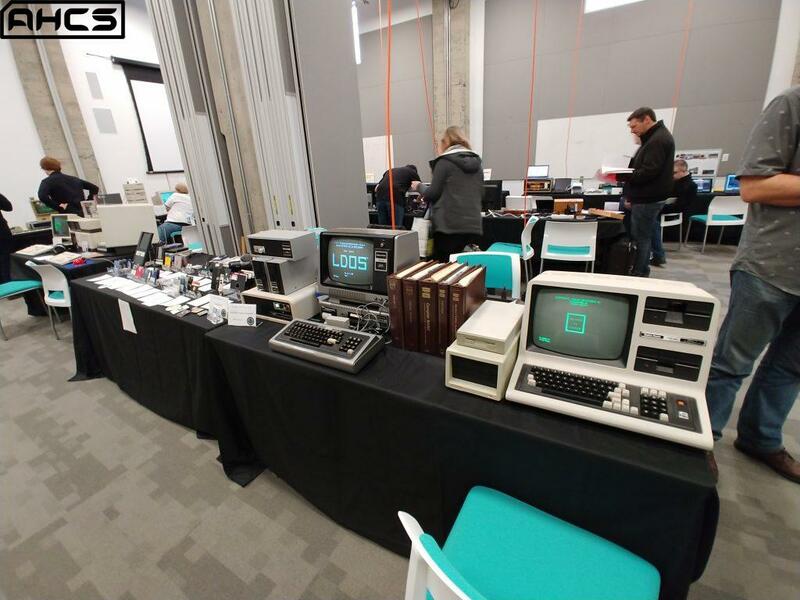 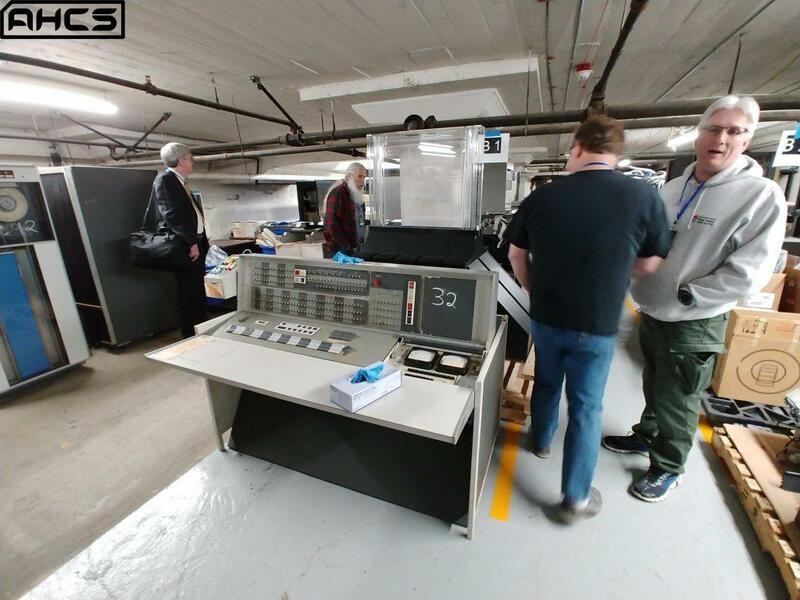 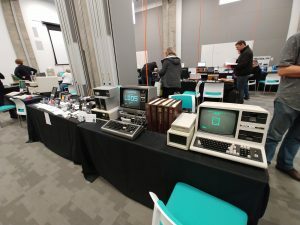 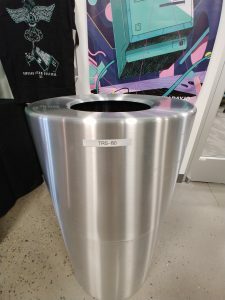 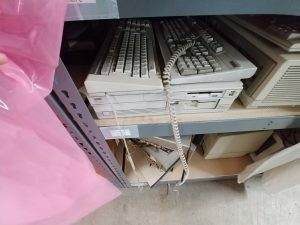 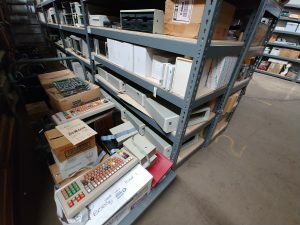 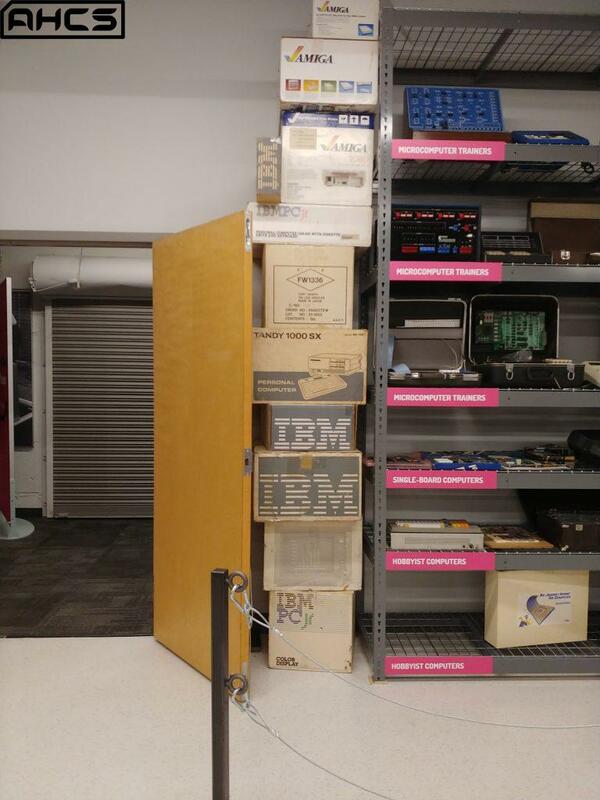 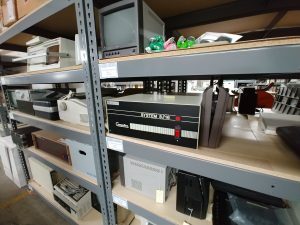 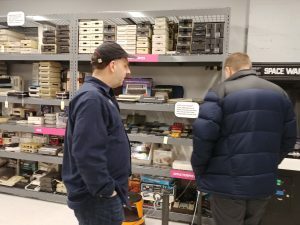 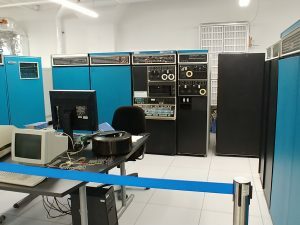 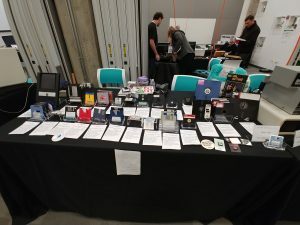 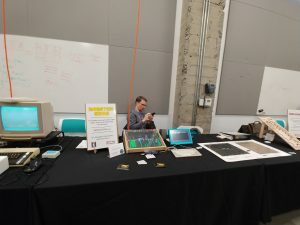 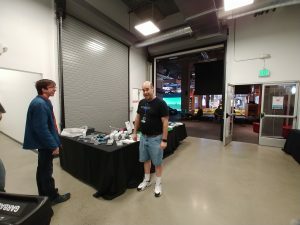 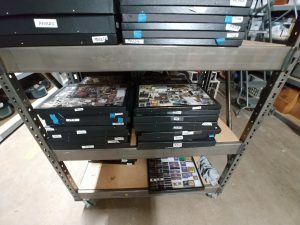 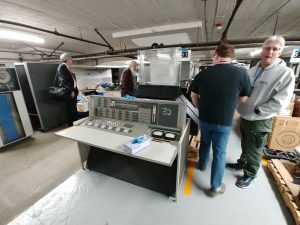 Check out some photos from the 2018 Vintage Computer Festival Midwest! 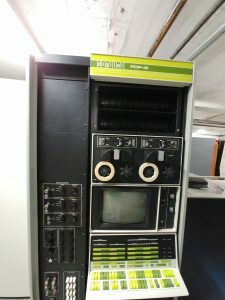 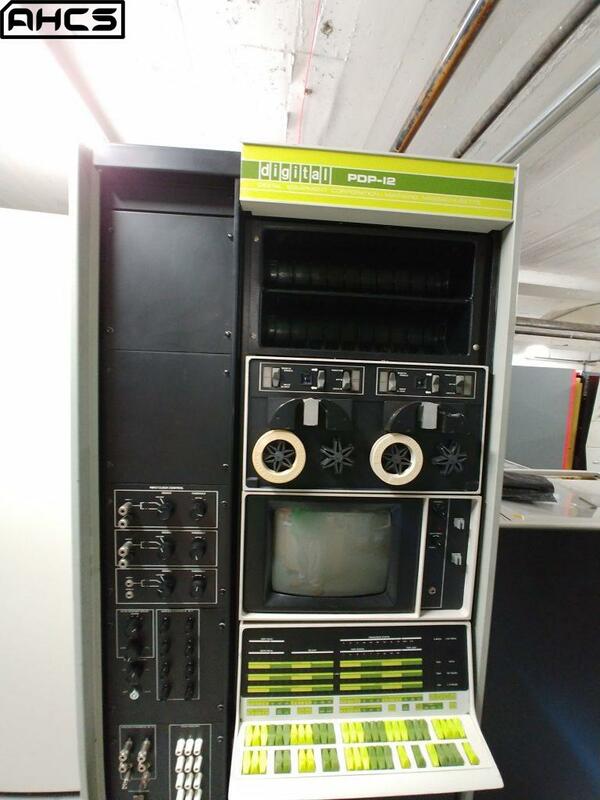 For those Kaypro fans out there! 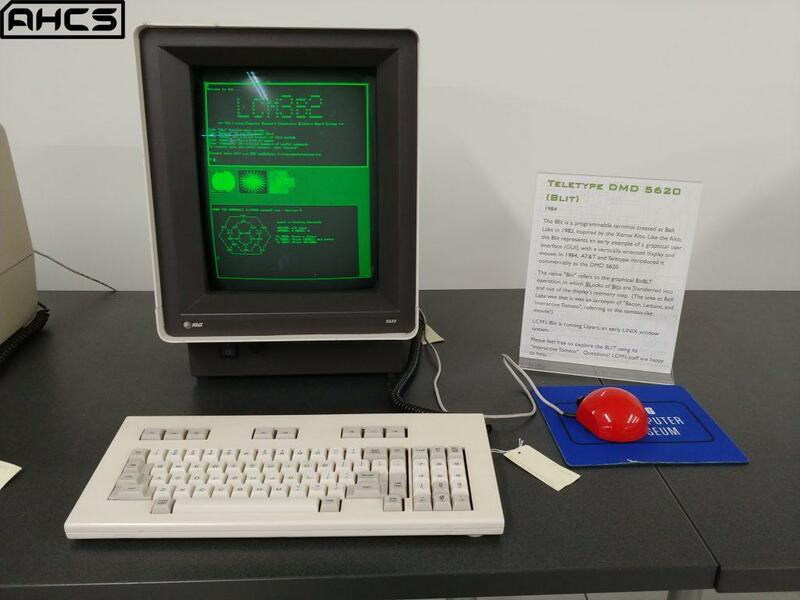 A new game recently ported to the Kaypro! Gets a whole 3 FPS! 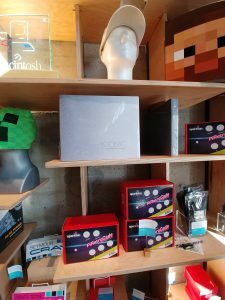 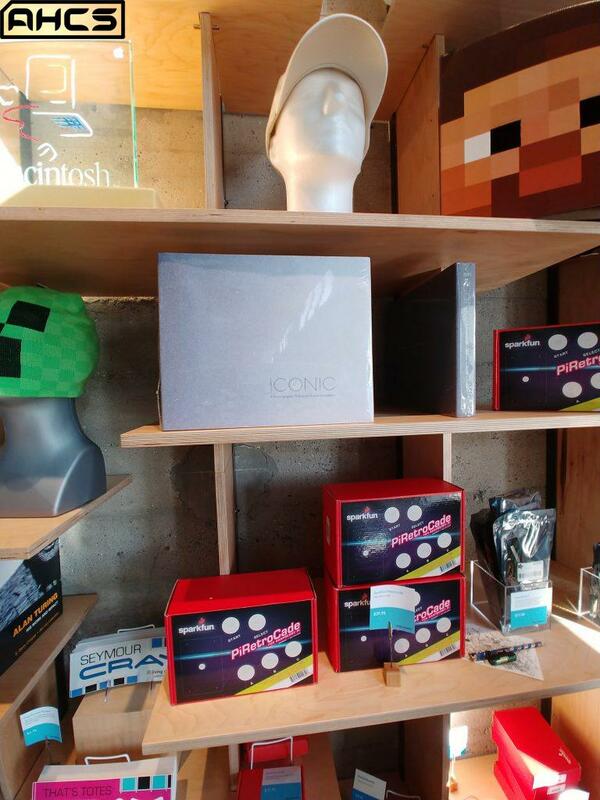 Join us for a public celebration of computer history and nostalgia on April 21 and 22 in Roswell, GA! 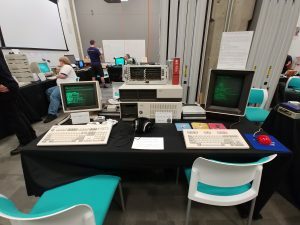 Read more at the Vintage Computer Festival Southeast 6.0 webpage.